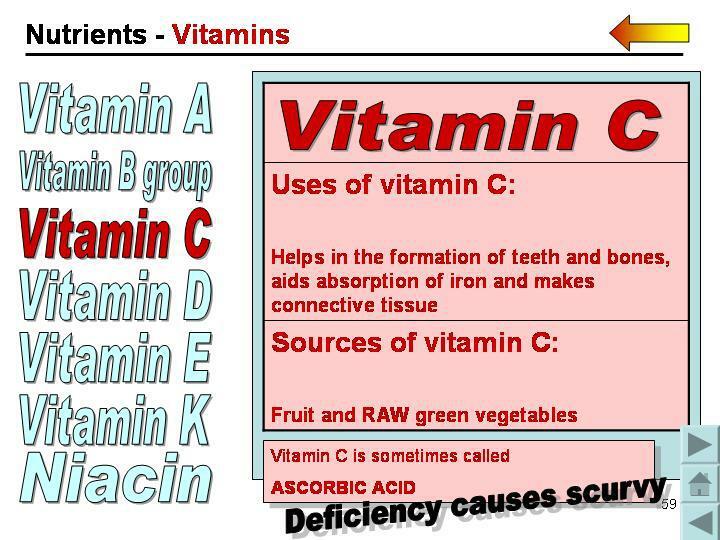 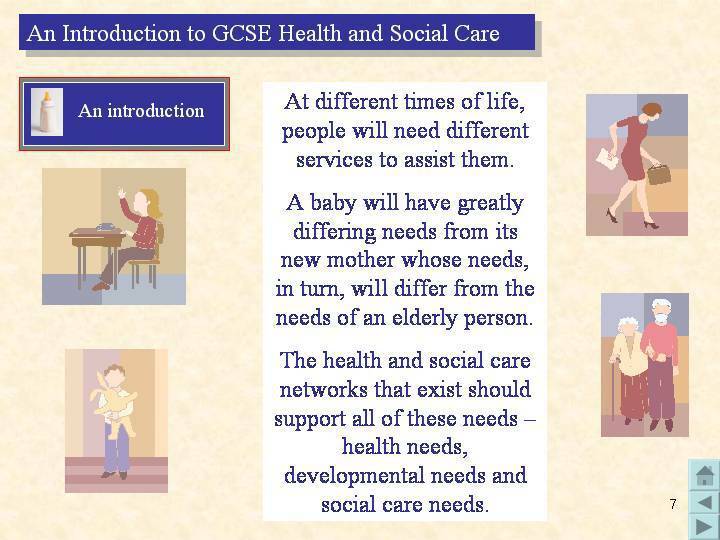 Scroll down the page to see details of the products we offer to assist with teaching Health and Social Care in Key Stages 4 and 5. 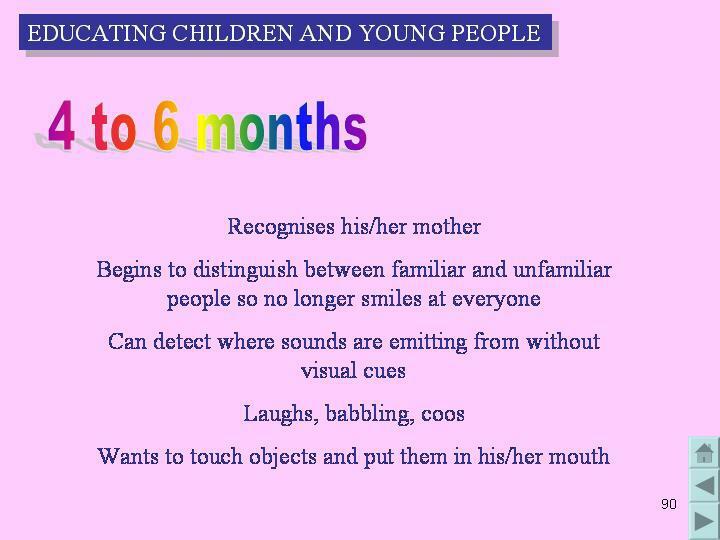 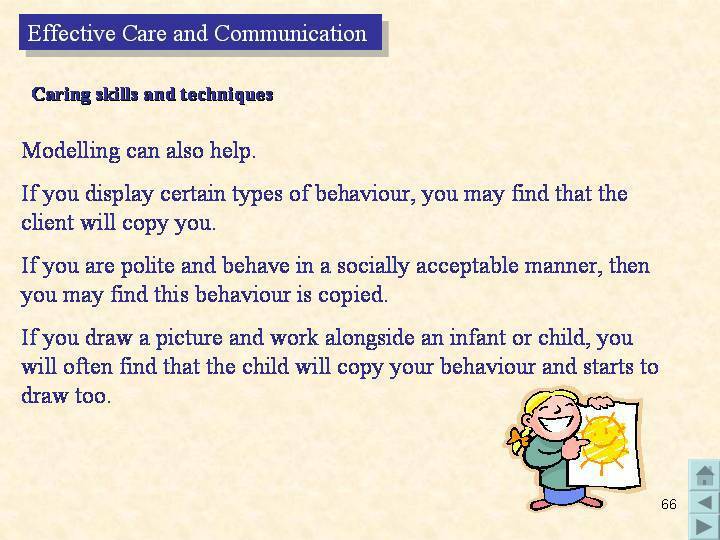 You can download our demonstration presentation by clicking on 'H and SC Demo.ppt', below. 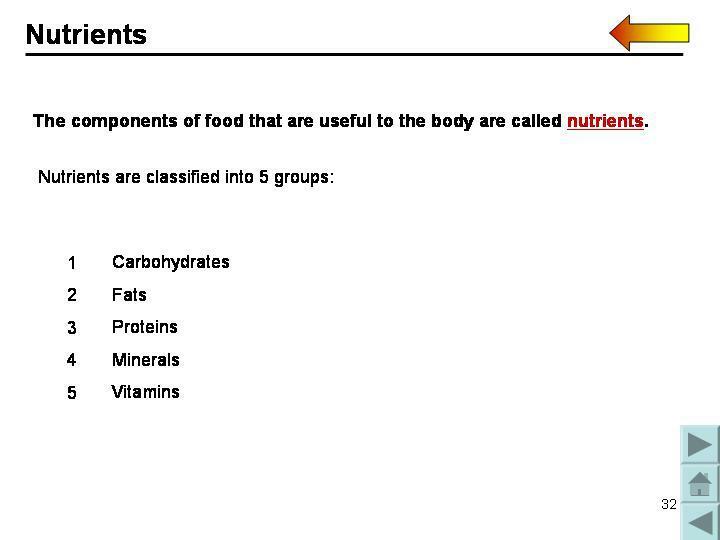 This presentation contains over 50 PowerPoint slides. 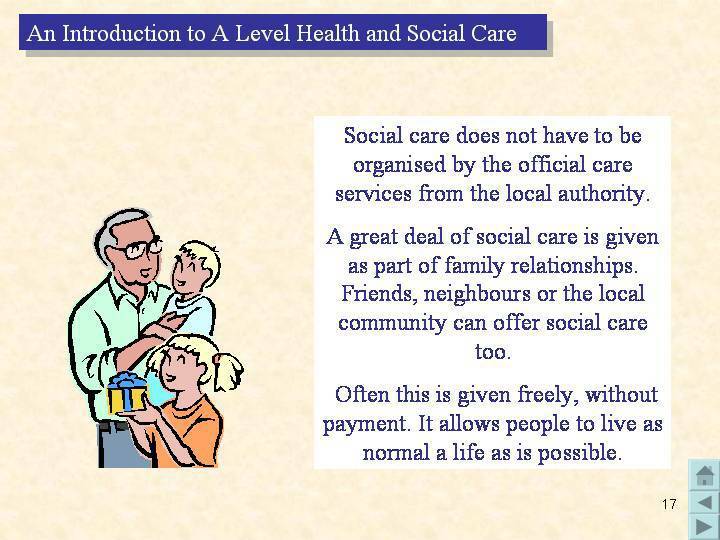 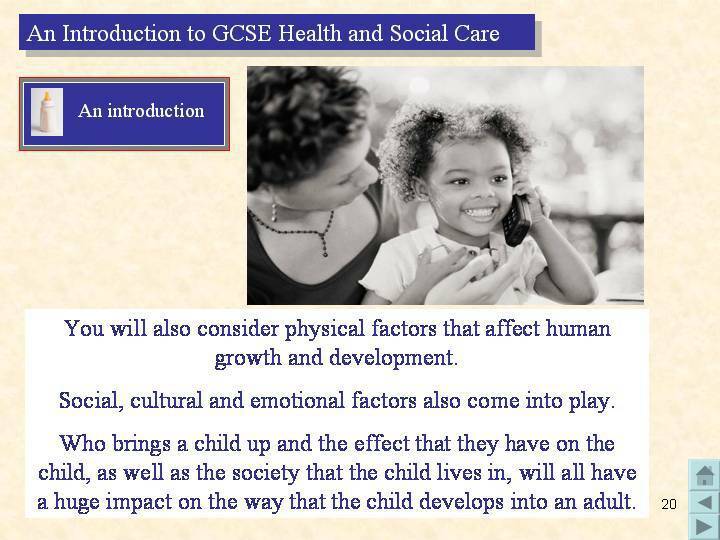 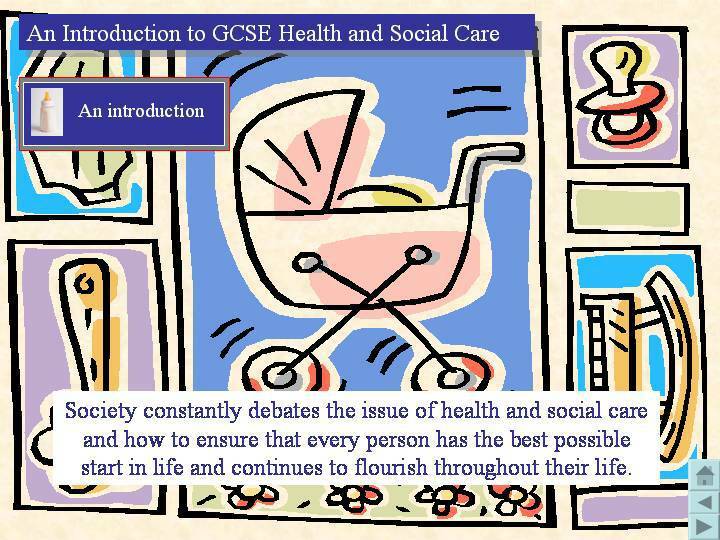 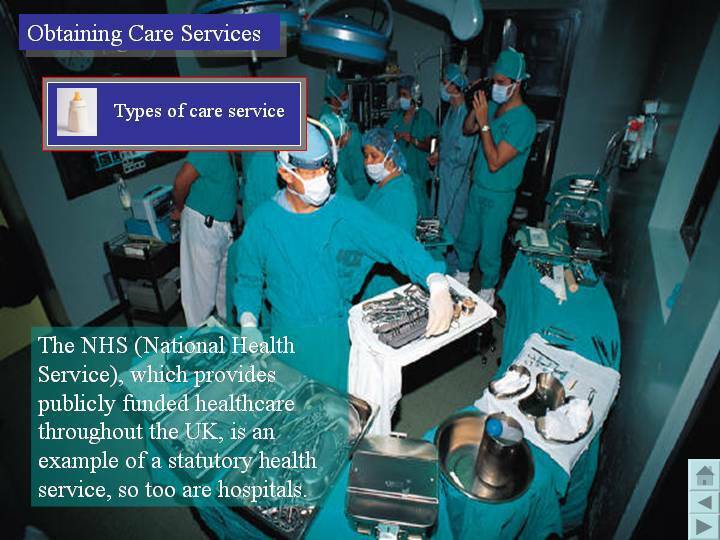 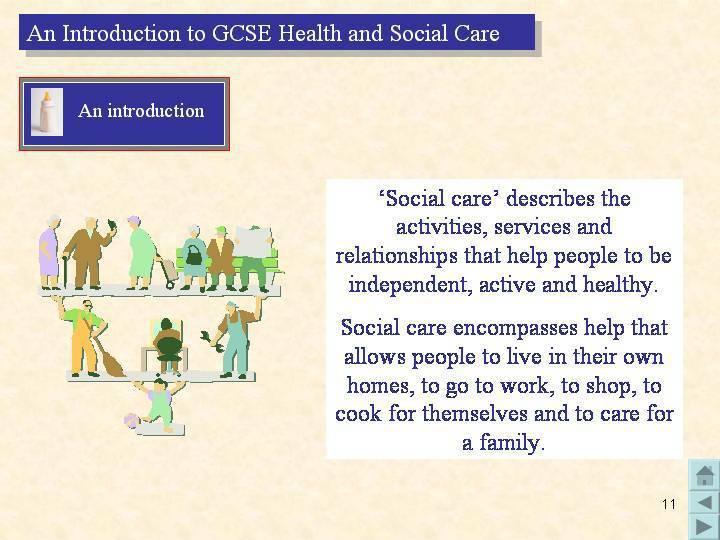 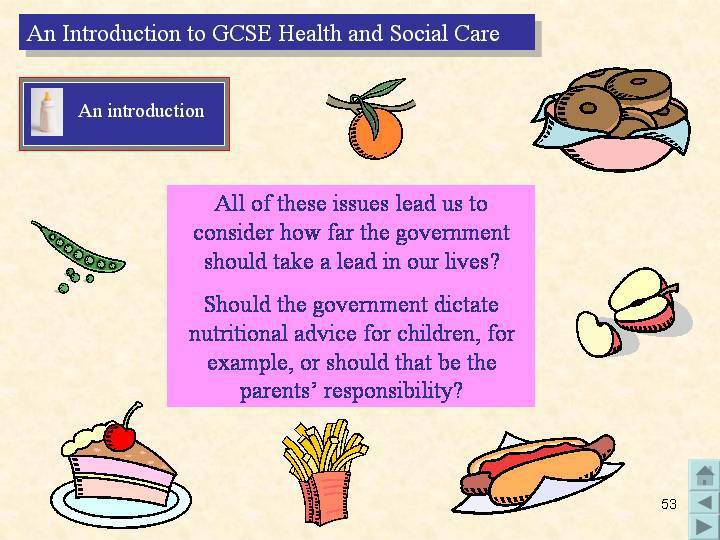 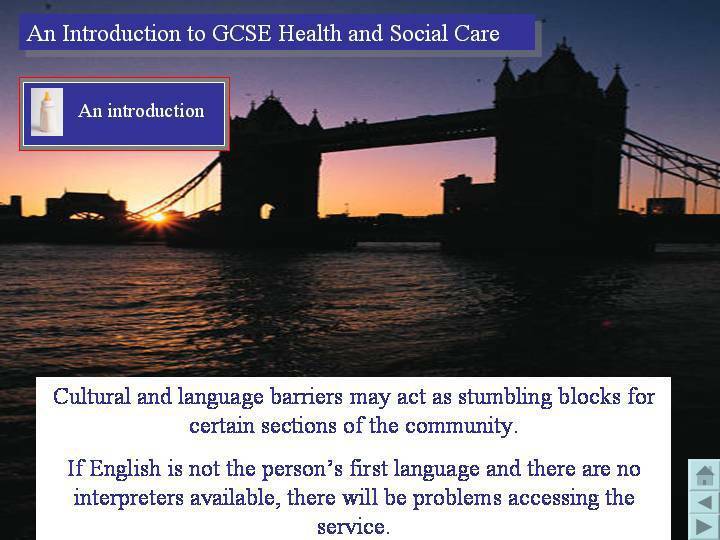 GCSE Introduction to Health and Social Care covers the following topics: an overview of what the subject involves and the reasons for studying it, defining ‘health’ and ‘social care’, the government’s role in social policy, statutory and private provision, barriers preventing the use of services, careers in the NHS and care values. 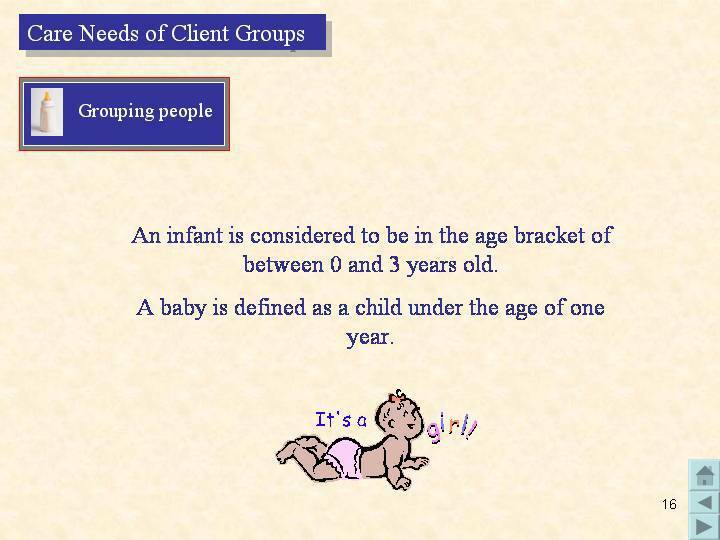 This presentation contains over 110 PowerPoint slides. 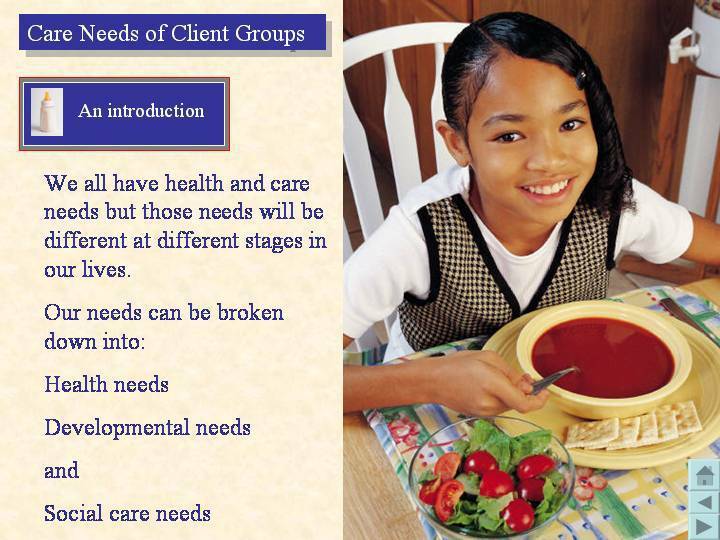 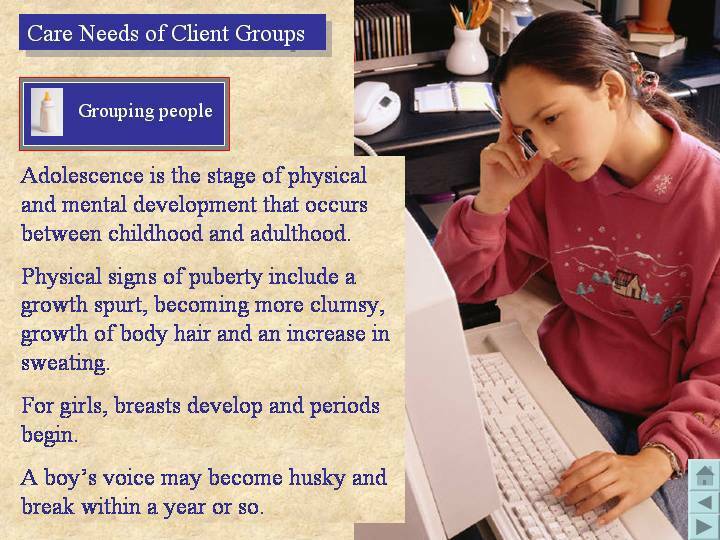 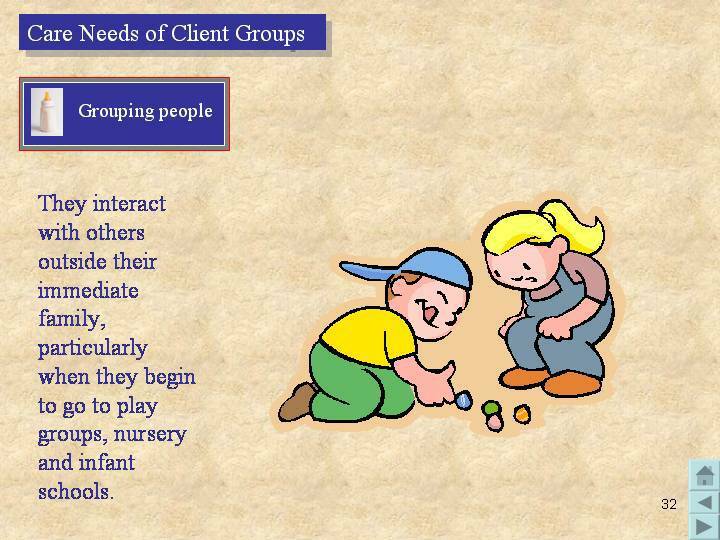 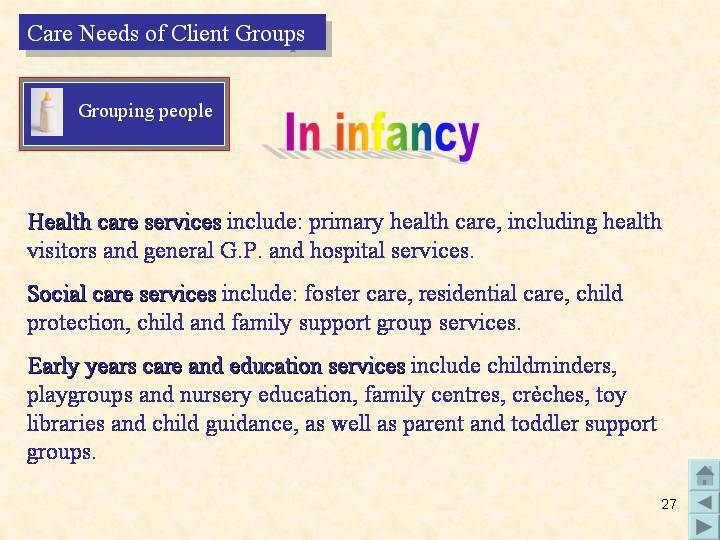 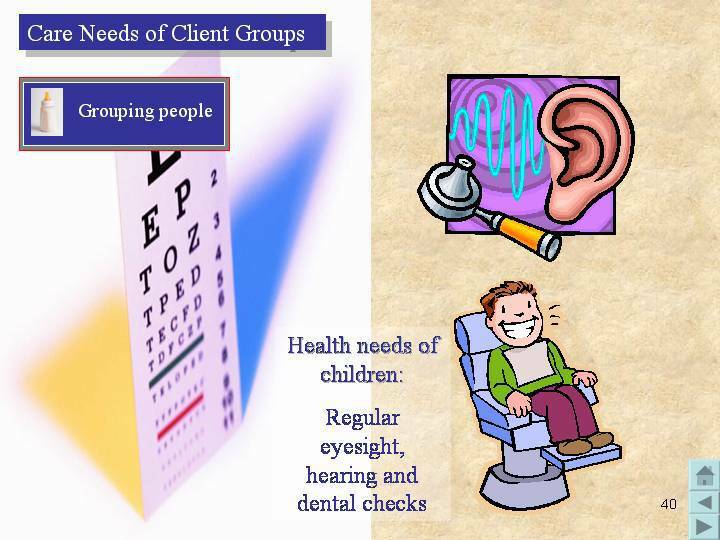 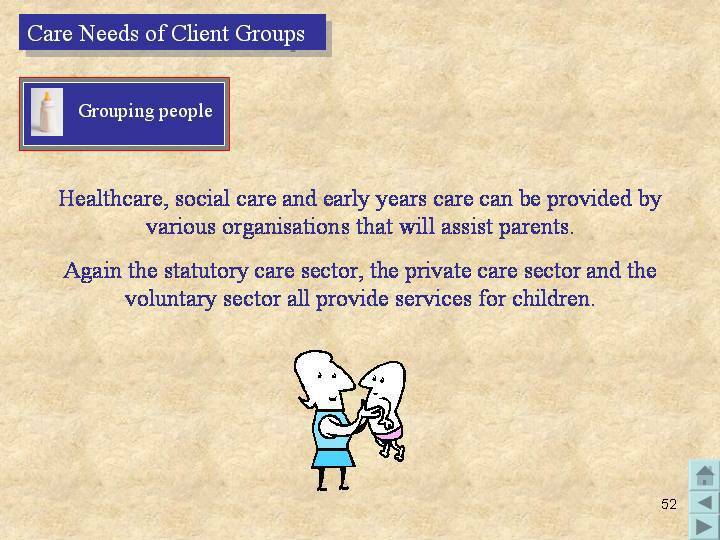 GCSE Care Needs of Client Groups covers the following groups: infants, children, adolescents, adults, later adulthood and the disabled. 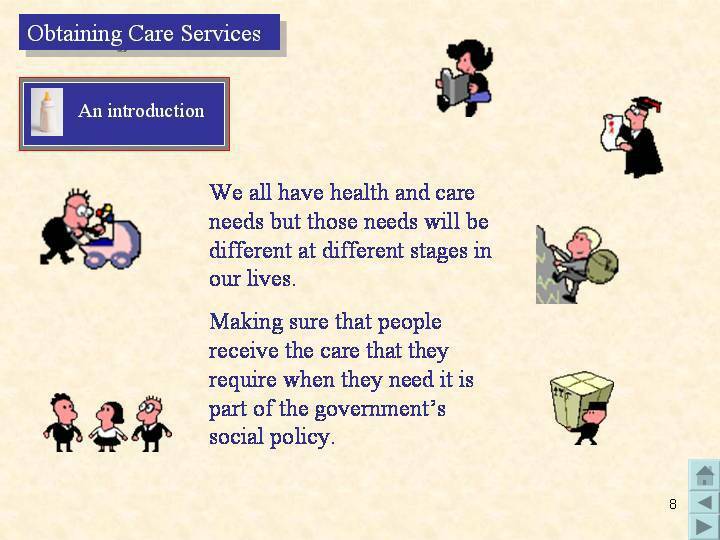 This presentation contains over 80 PowerPoint slides. 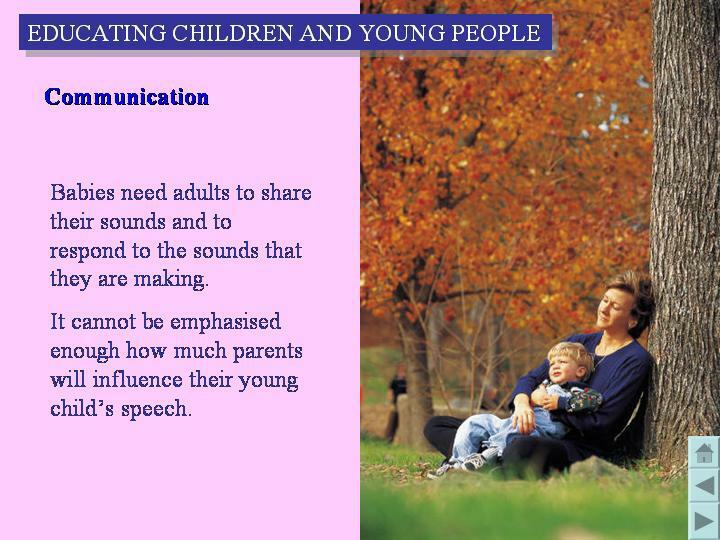 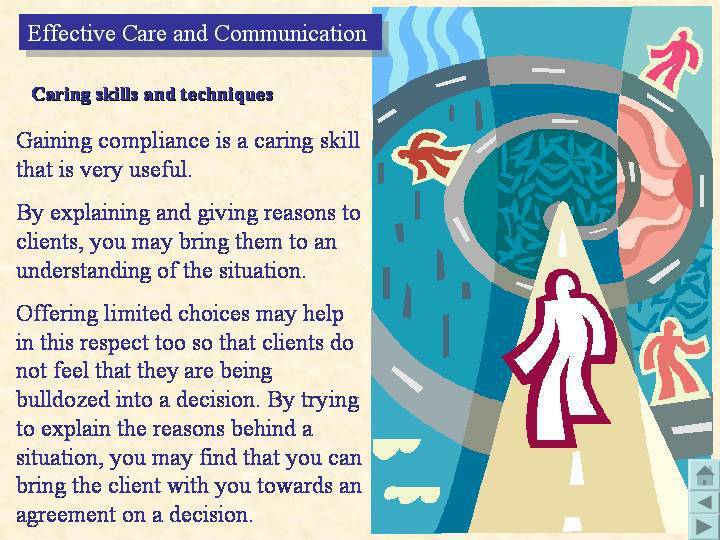 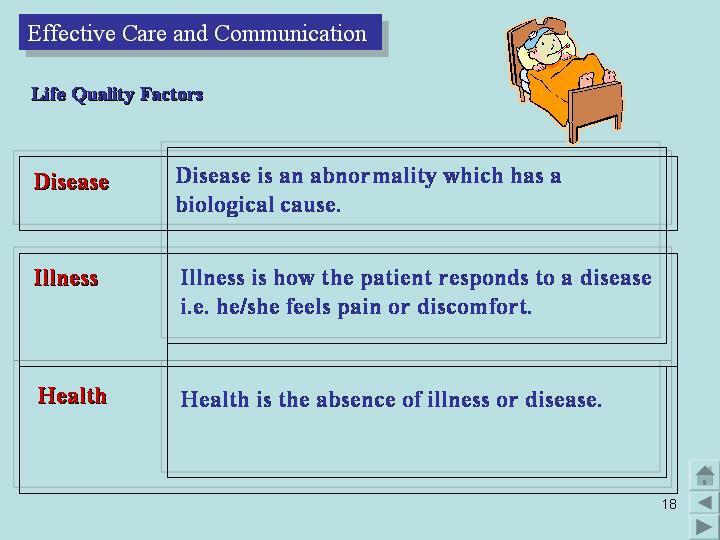 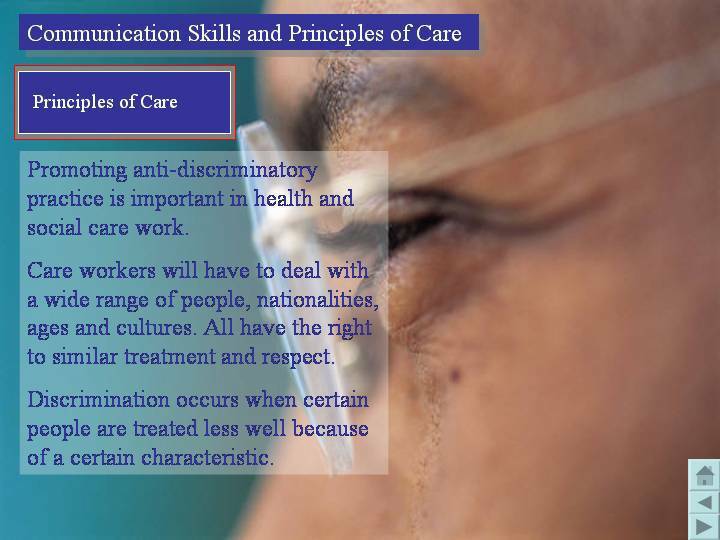 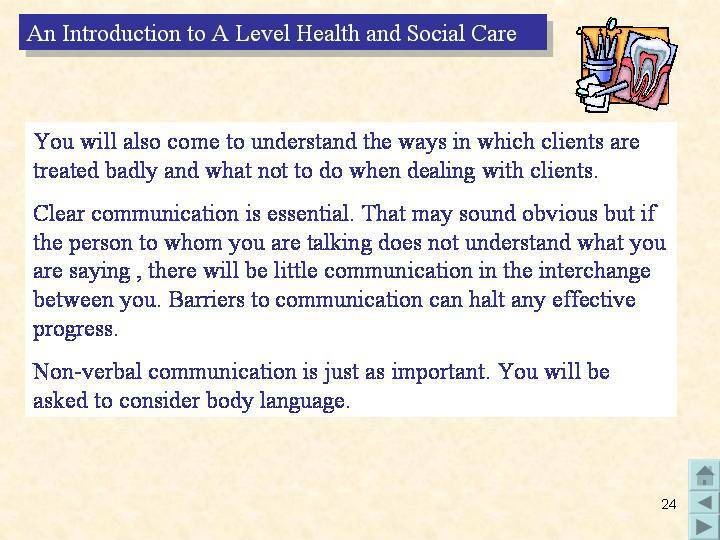 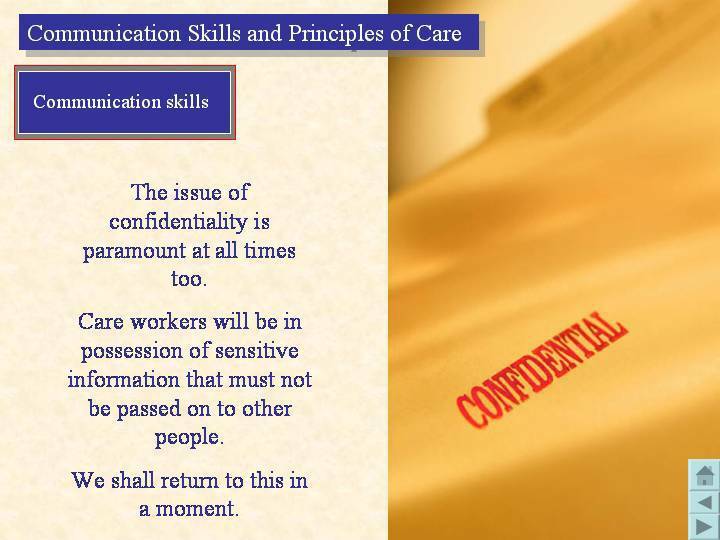 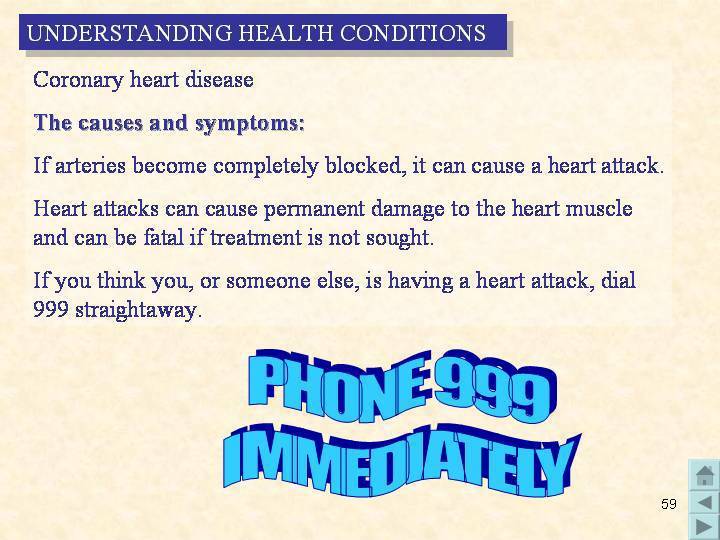 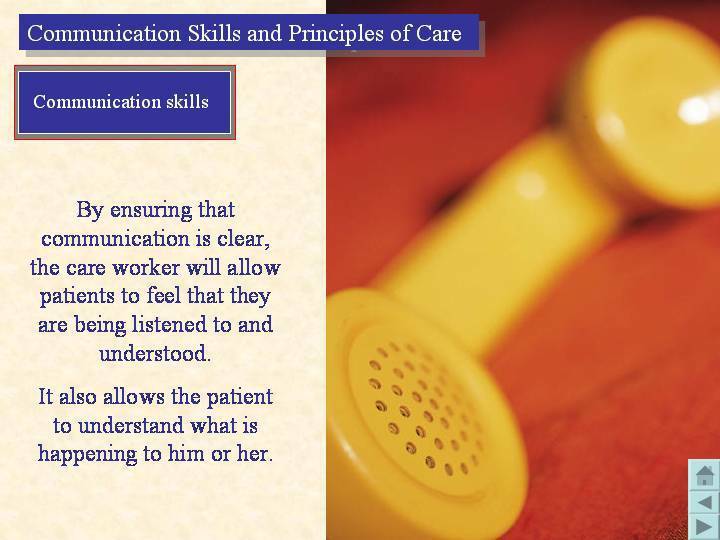 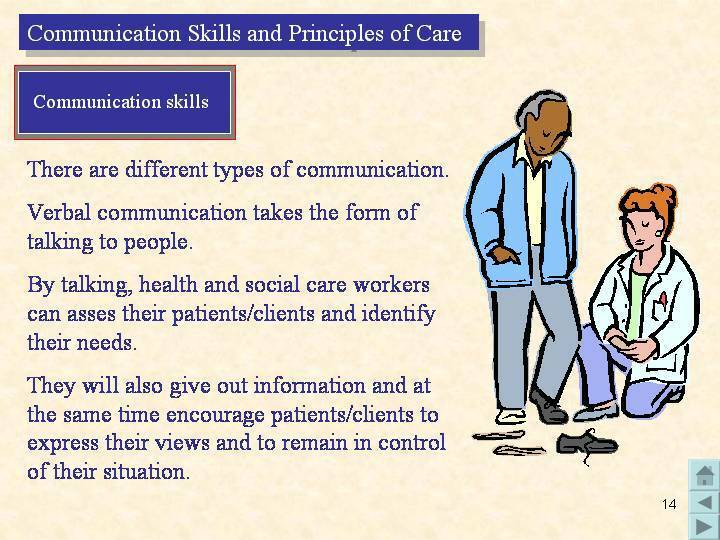 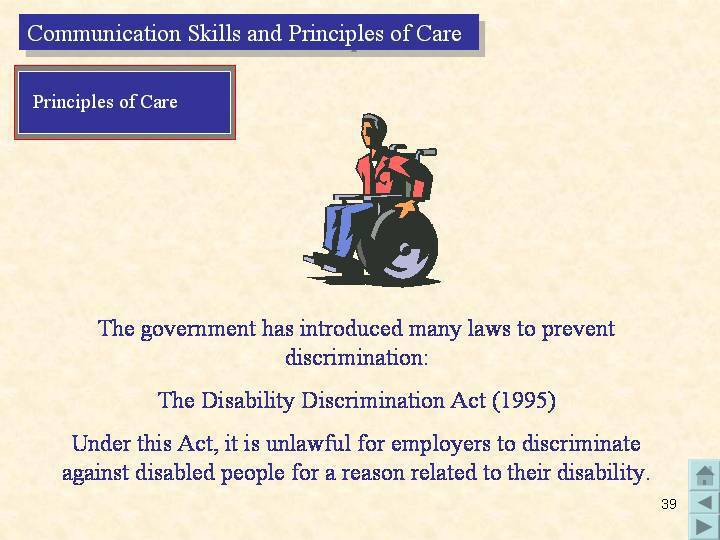 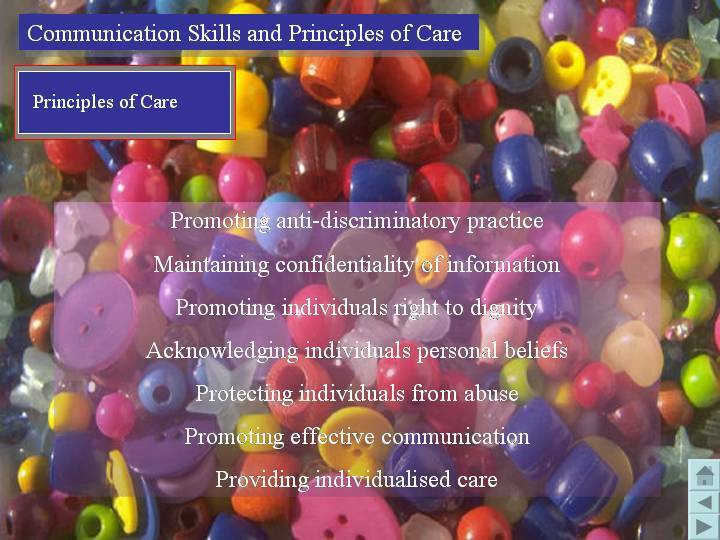 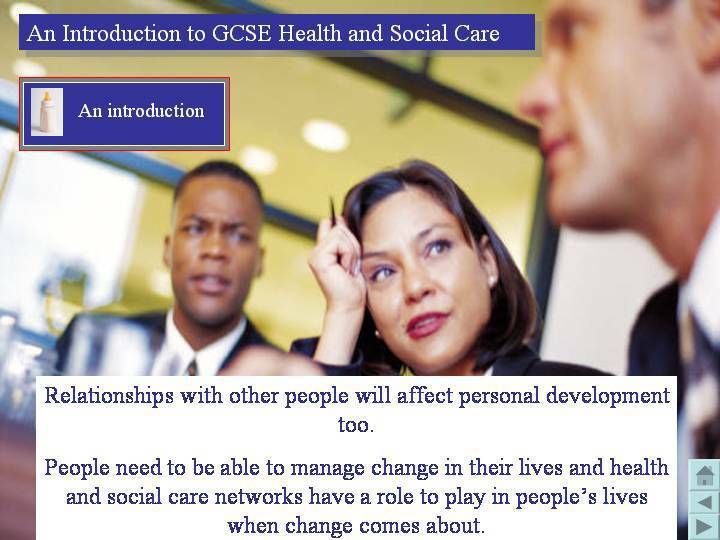 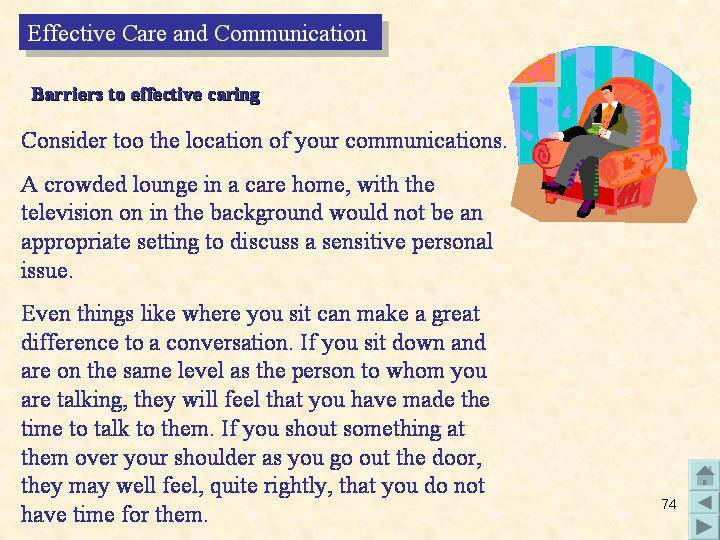 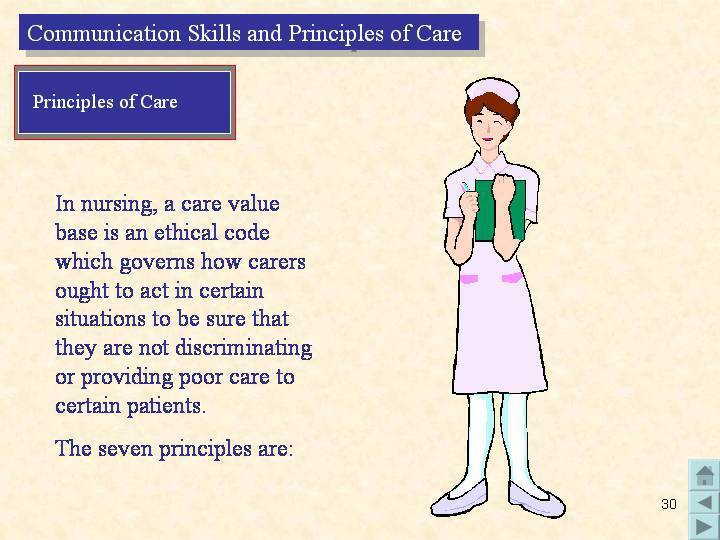 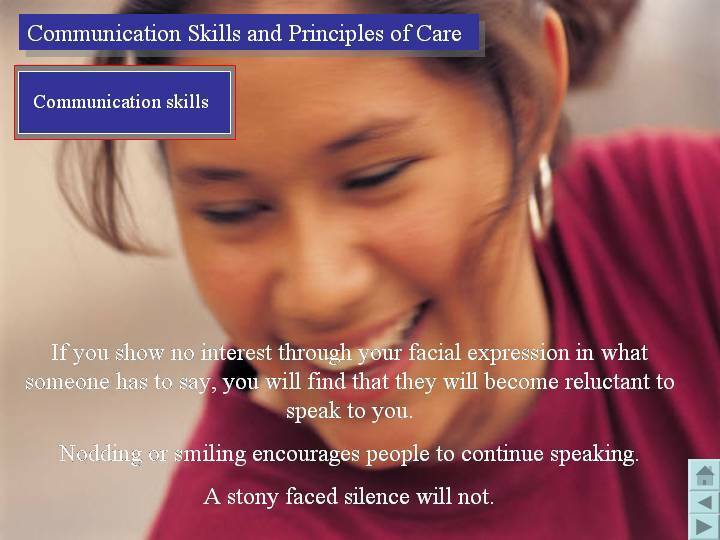 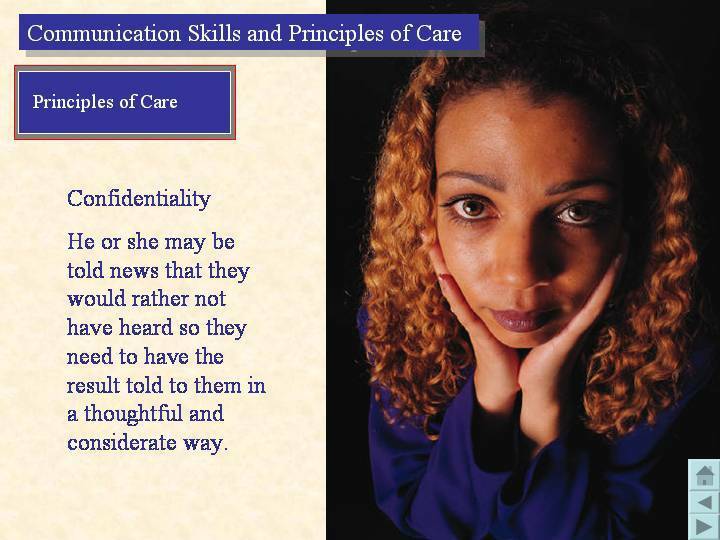 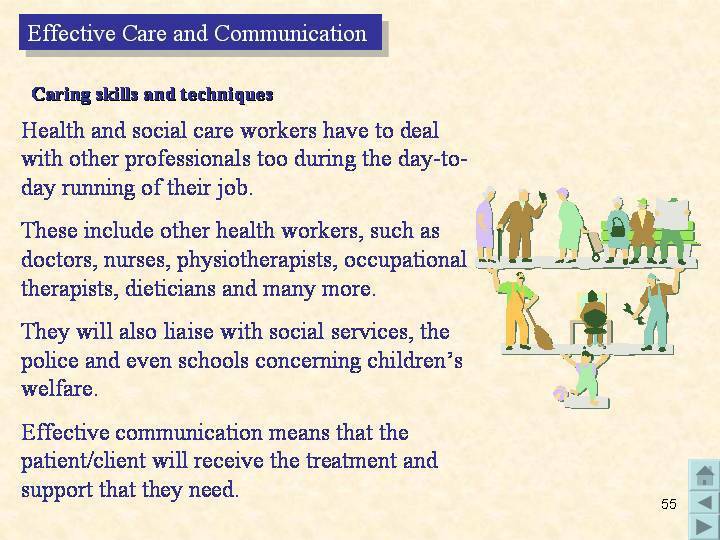 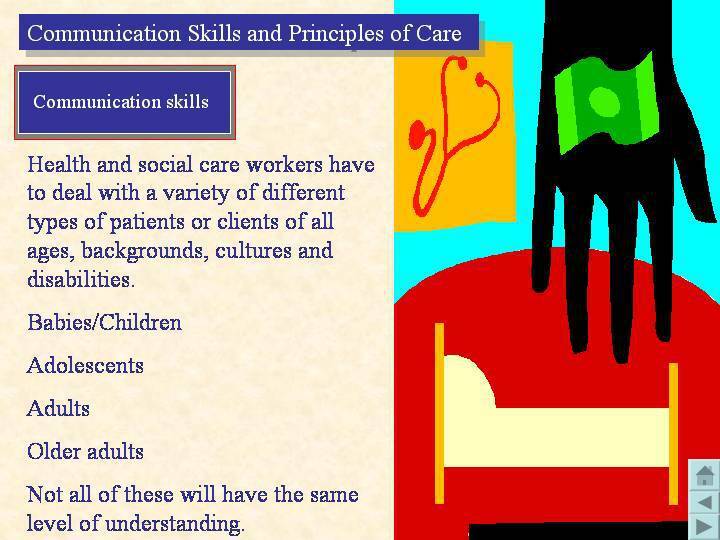 GCSE Communication Skills and Principles of Care covers the following topics: an introduction, communication skills and principles of care. 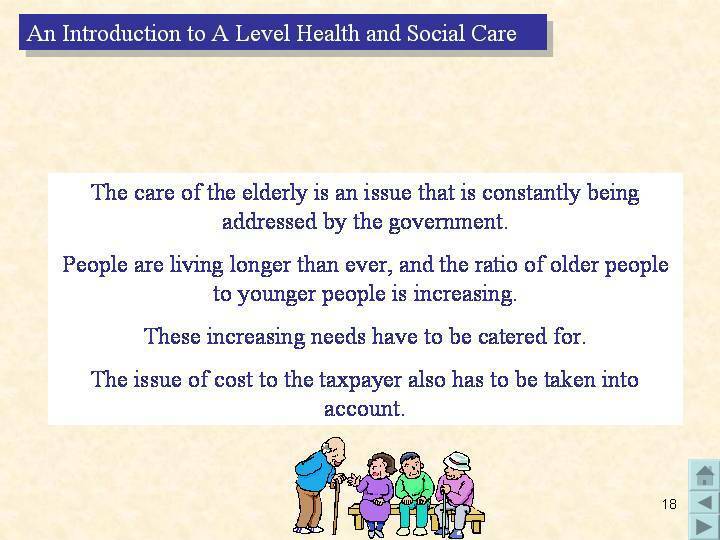 This presentation contains over 65 PowerPoint slides. 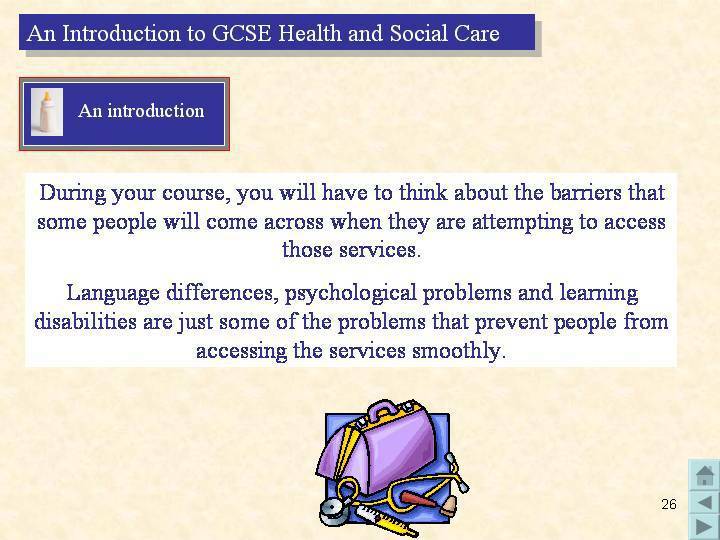 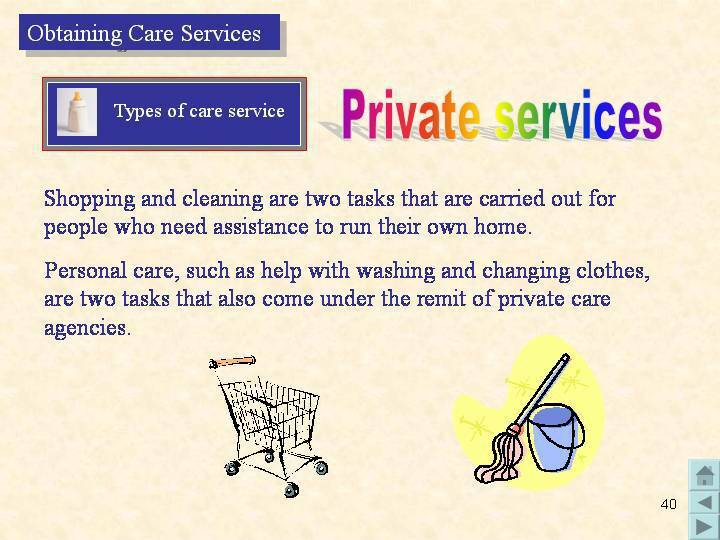 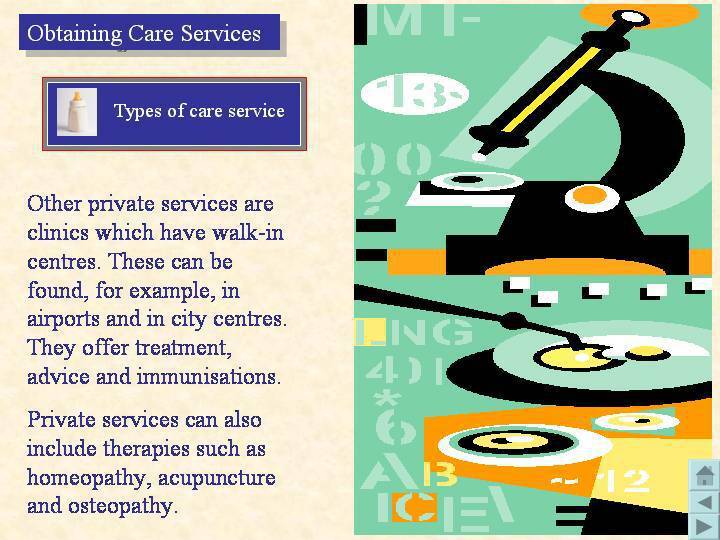 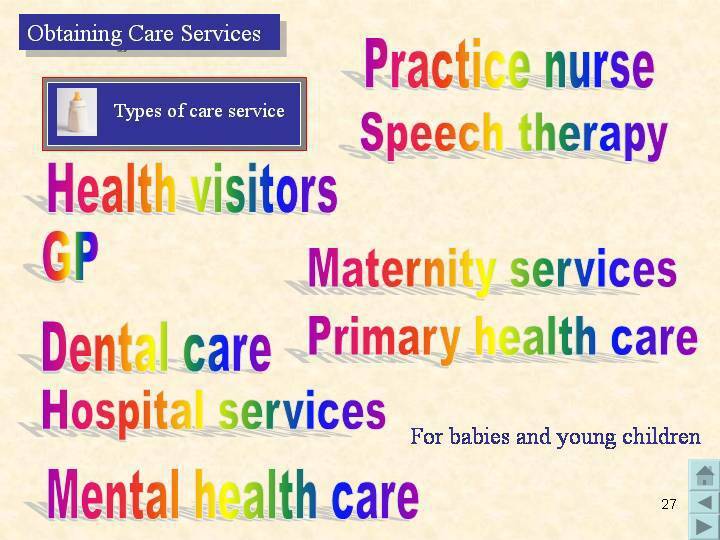 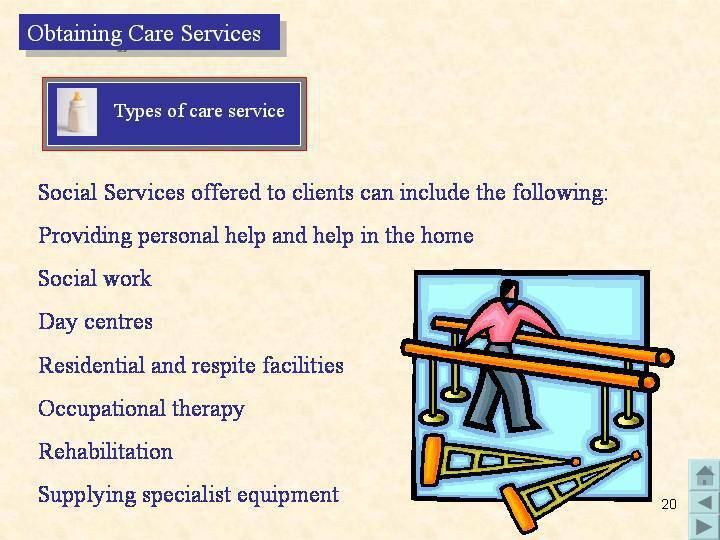 GCSE Obtaining Care Services covers the following topics: an introduction, types of care service, ways of obtaining care and barriers to service. 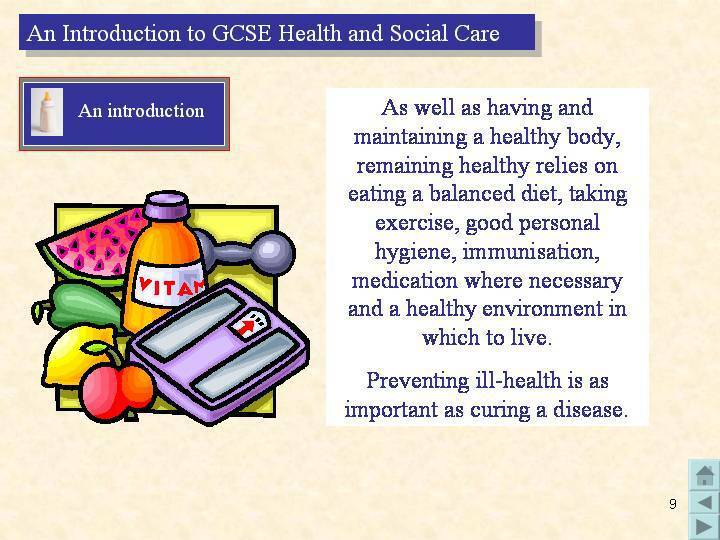 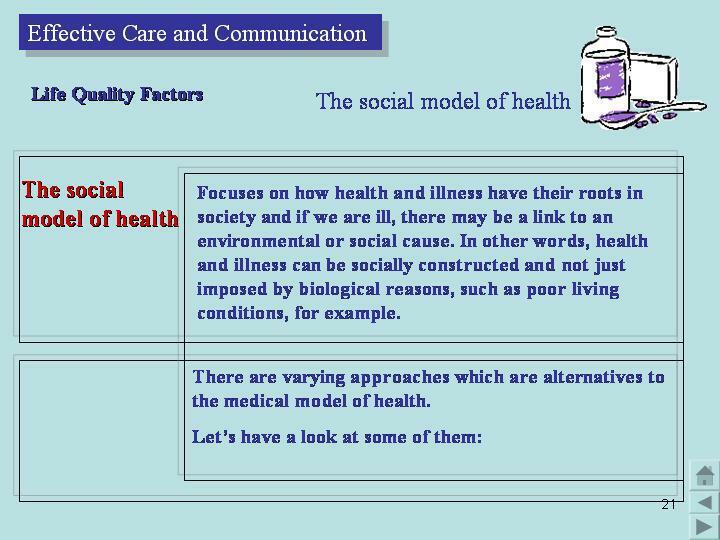 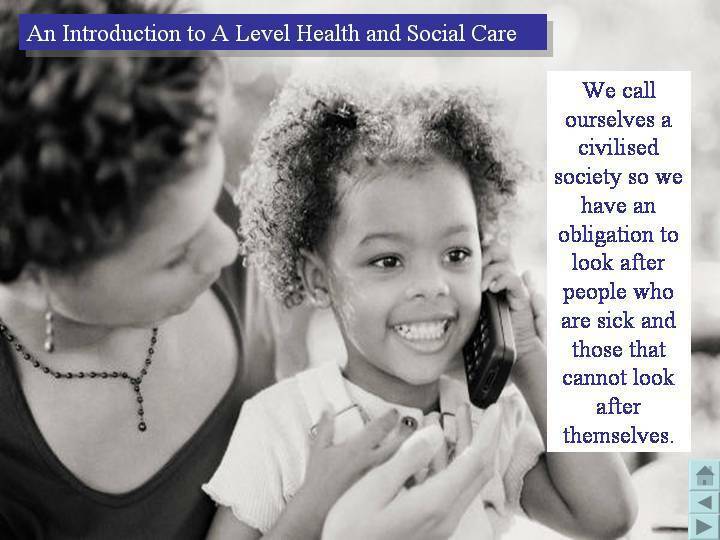 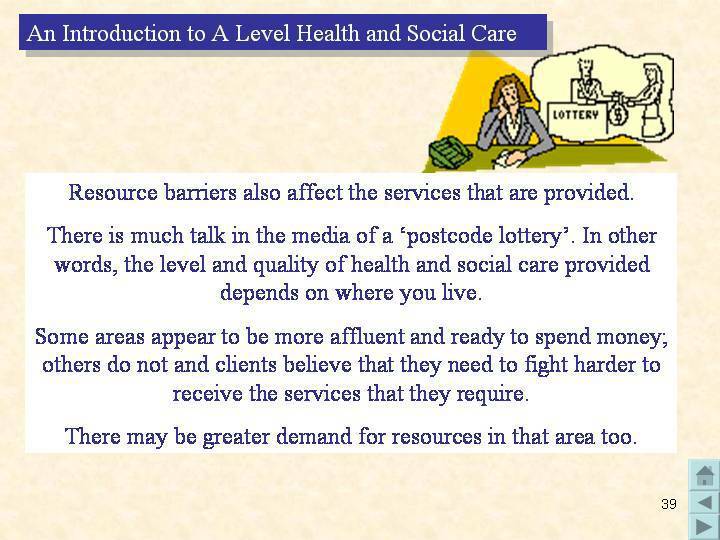 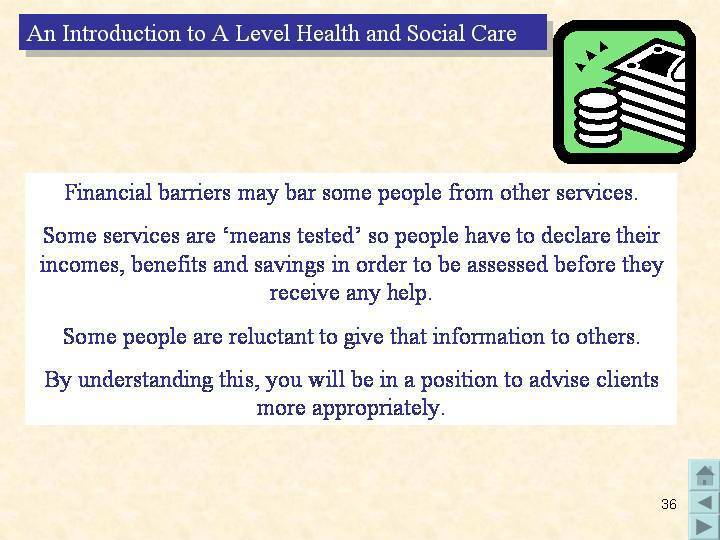 An Introduction to A Level Health and Social Care covers the following topics: an overview of the subject, why is health care important? 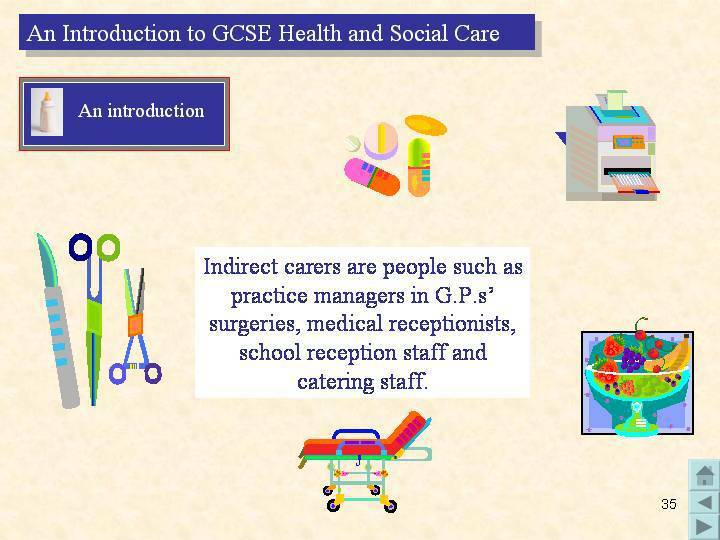 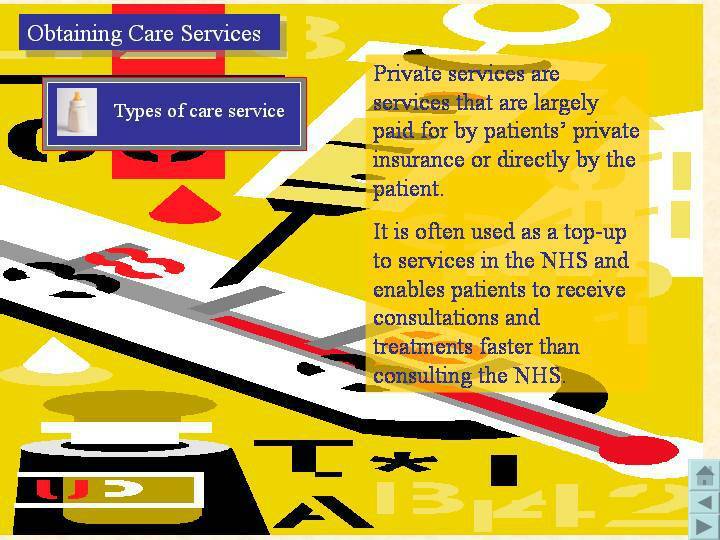 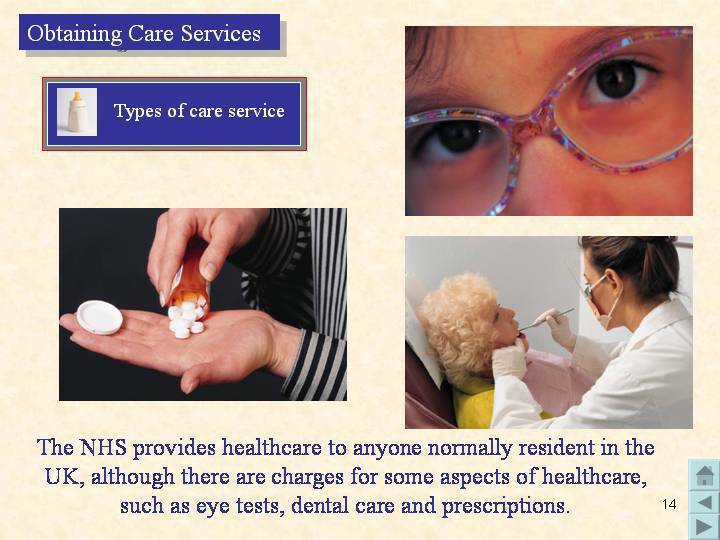 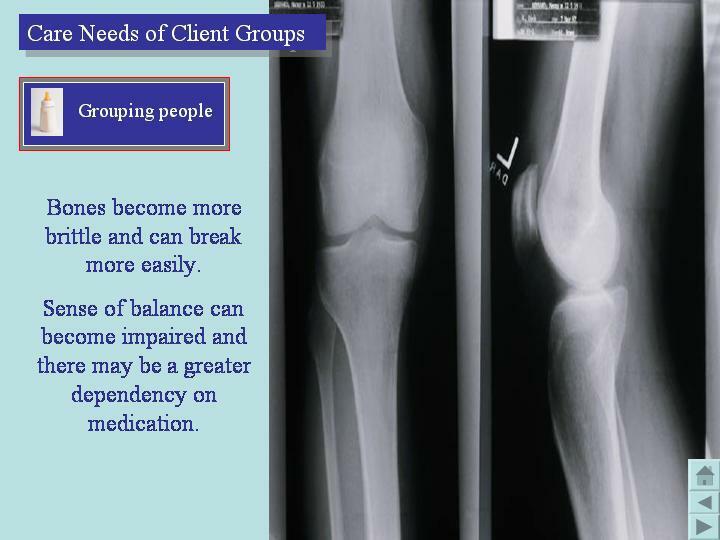 providers of social care, plus direct / indirect carers. 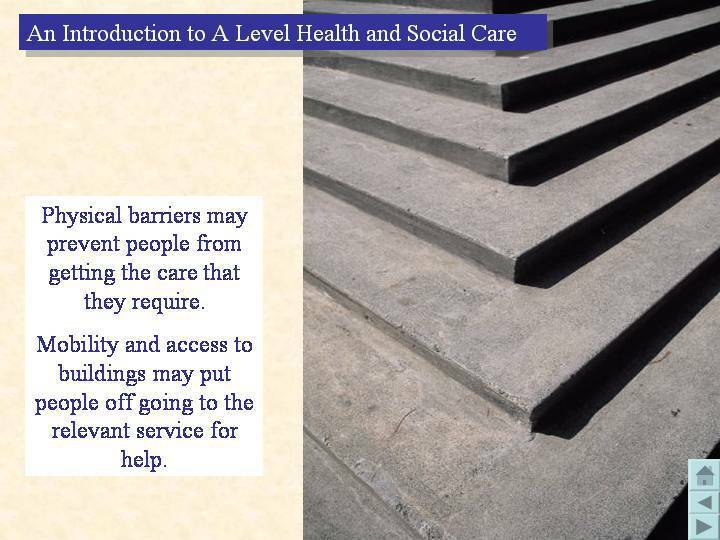 This presentation contains over 180 PowerPoint slides. 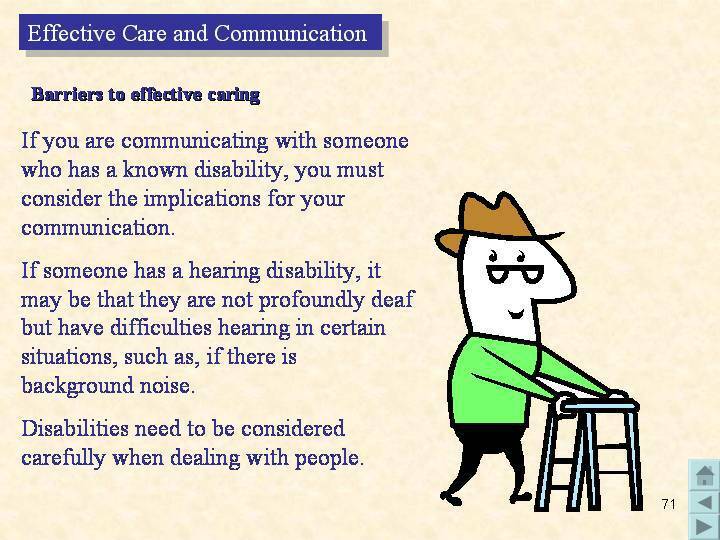 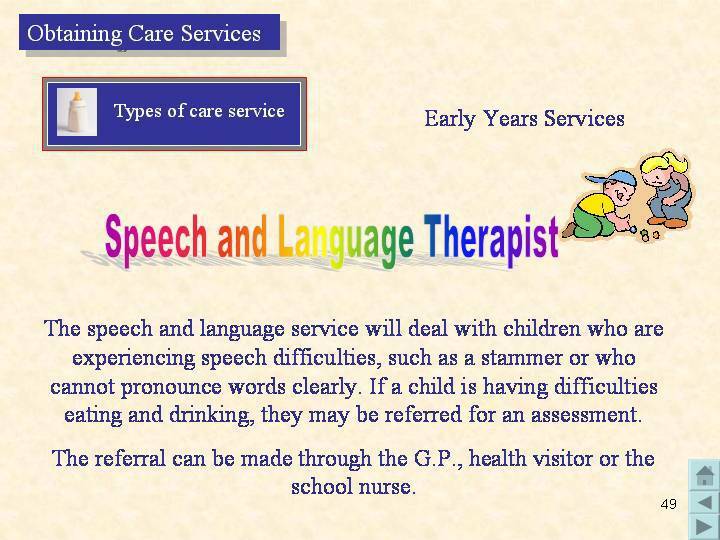 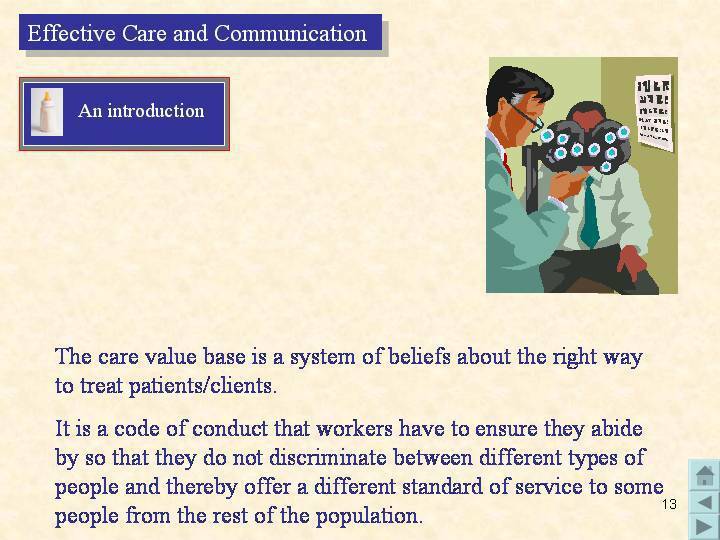 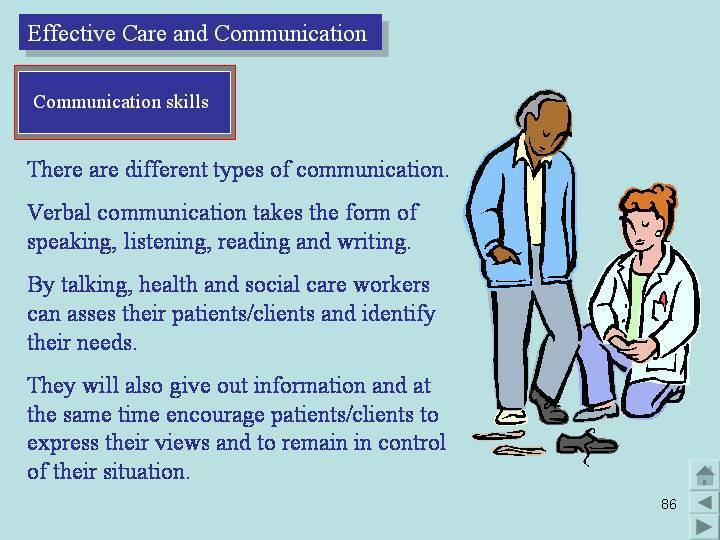 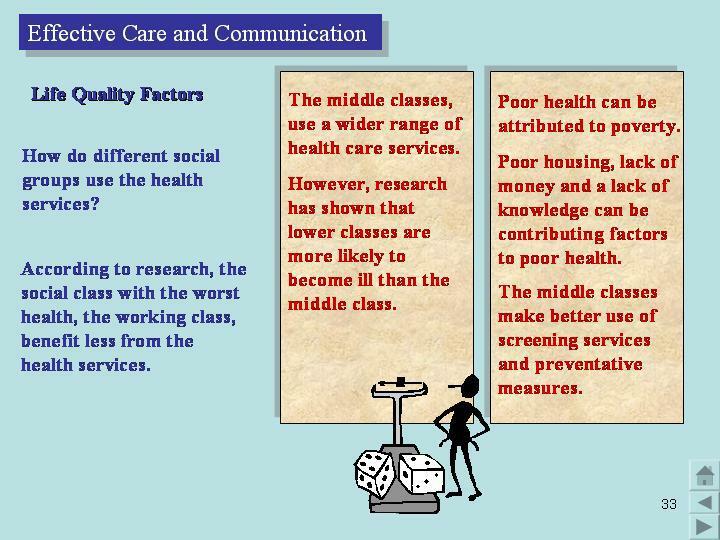 AS Level Effective Care and Communication covers the following topics: an introduction, life quality factors, caring skills and techniques, barriers to effective caring, communication skills and principles of care. 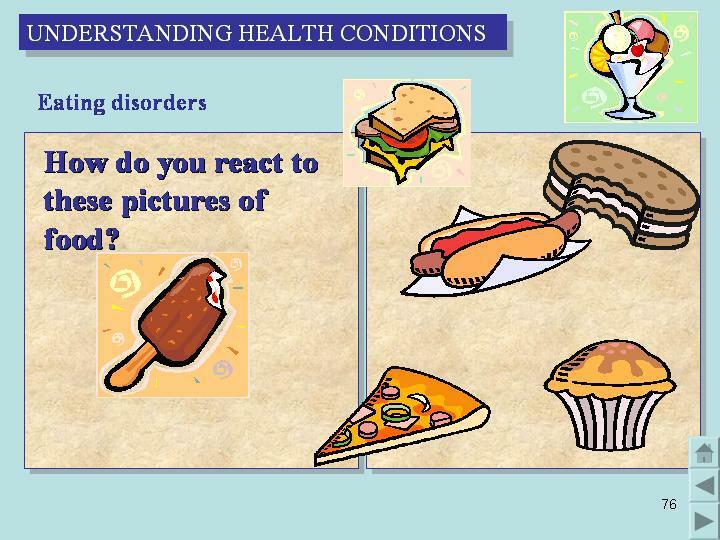 This presentation contains over 150 PowerPoint slides. 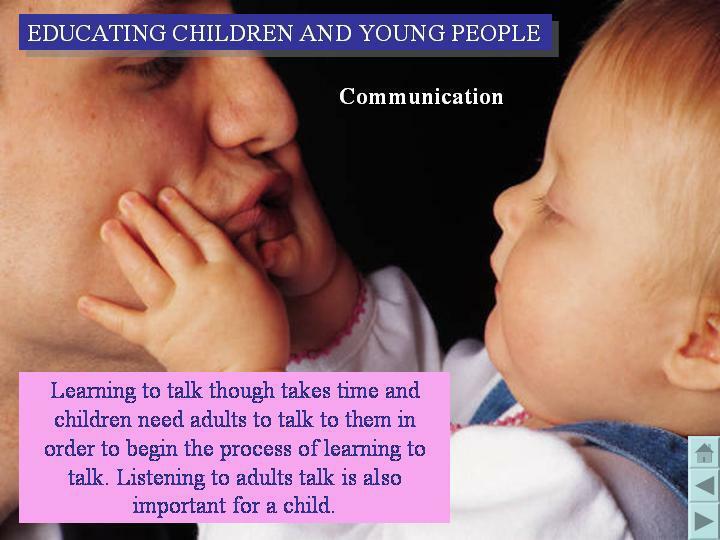 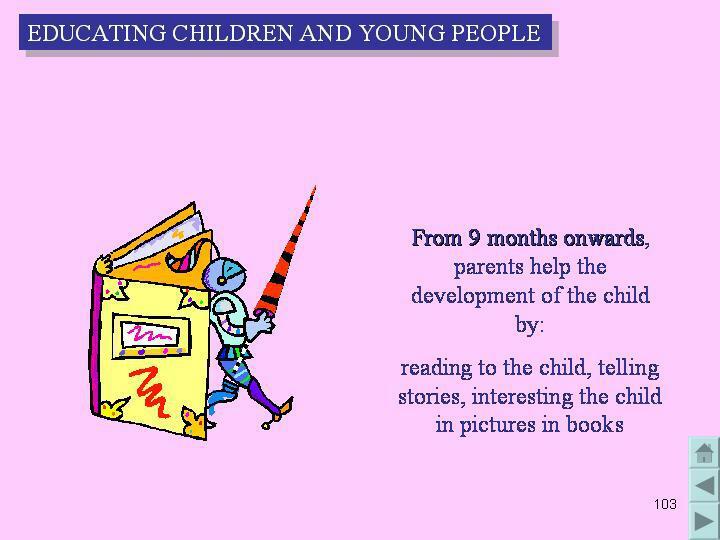 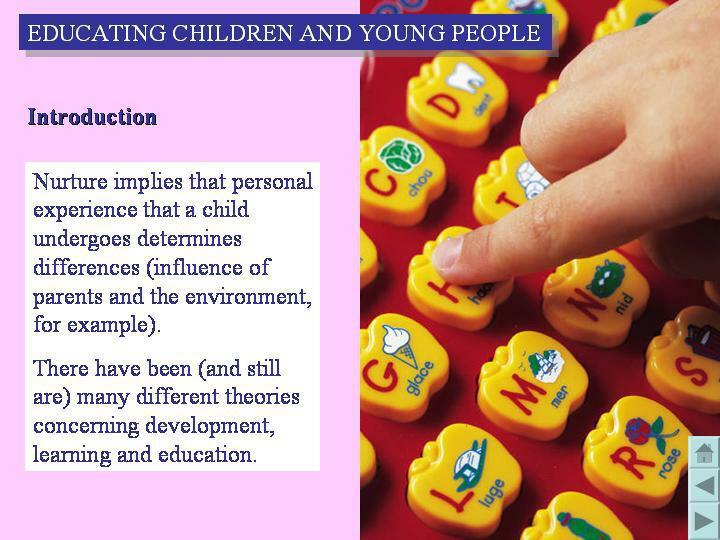 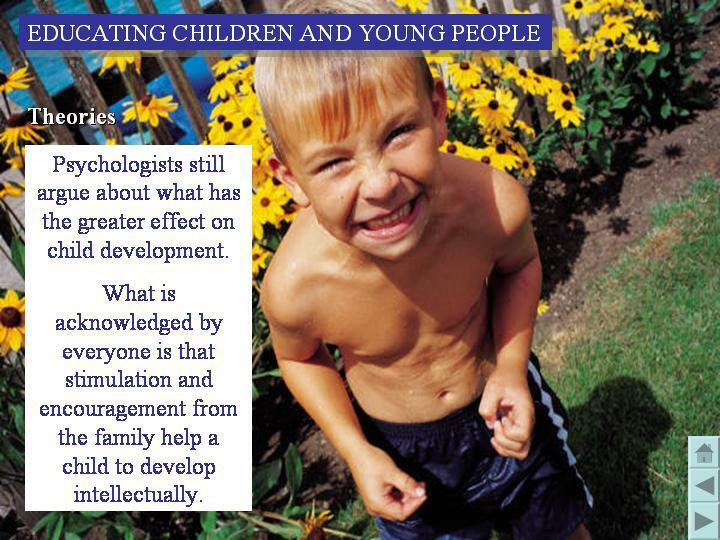 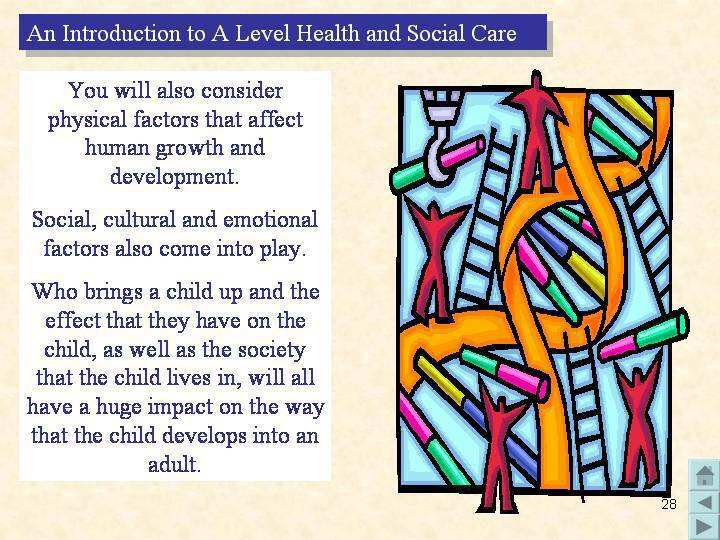 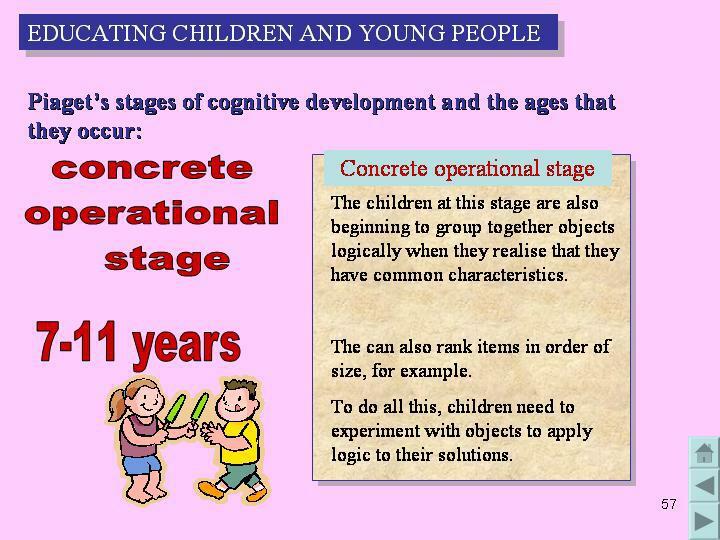 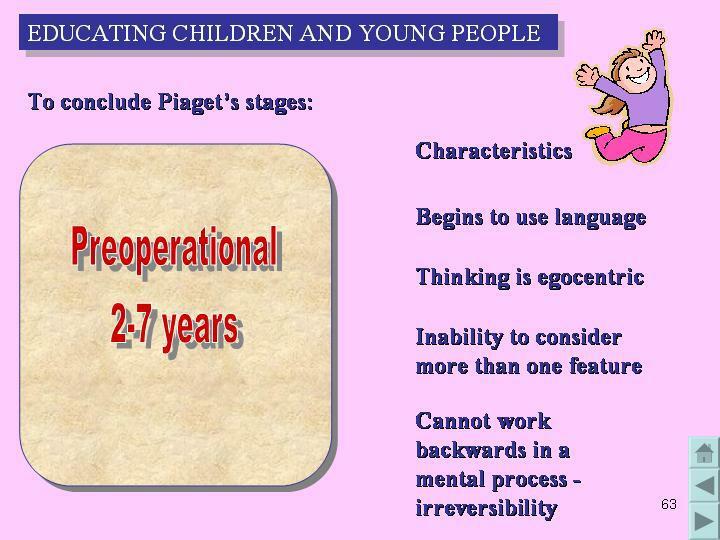 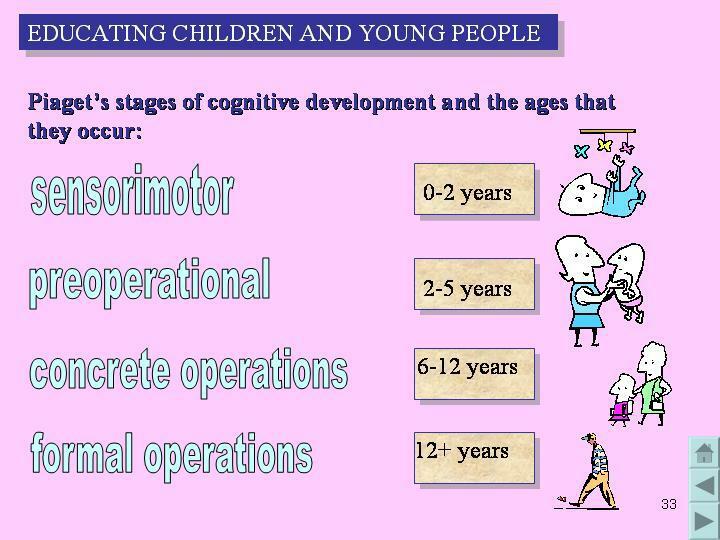 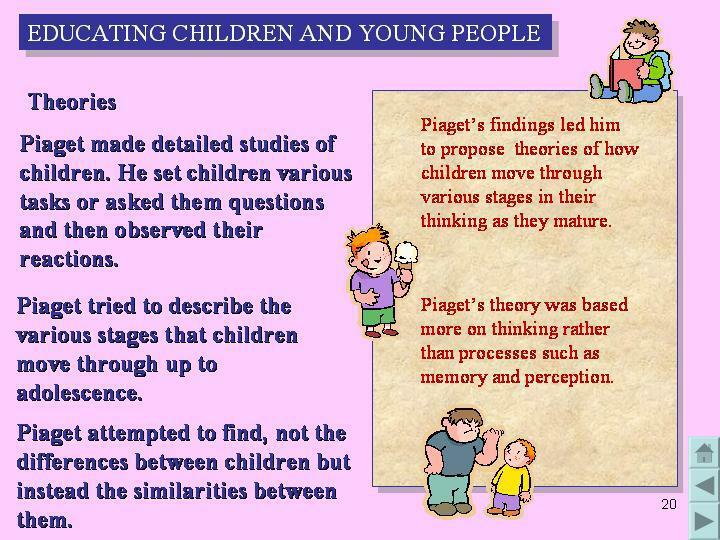 AS Level Educating Children and Young People covers the following topics: Piaget, Vygotsky and Bruner, development of the child, communication, numbers, reading and writing, social development and techniques for learning. 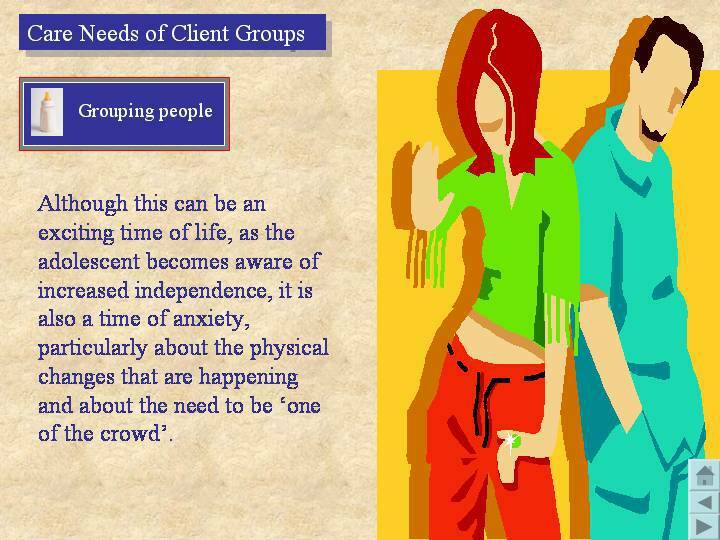 This presentation contains over 130 PowerPoint slides. 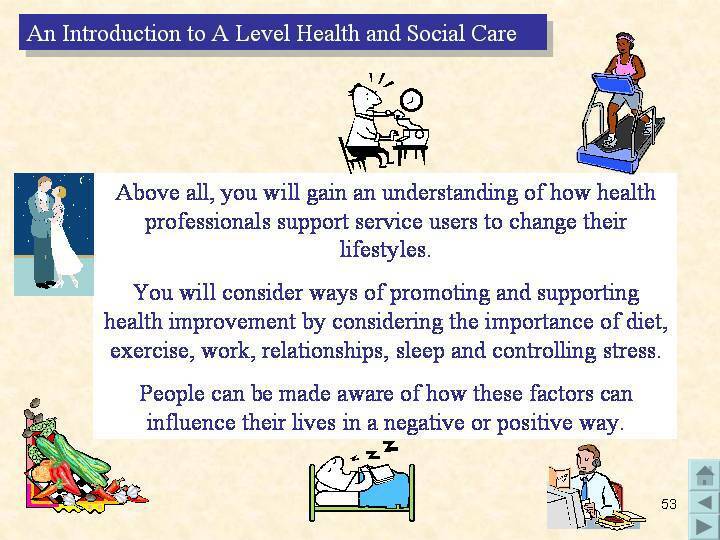 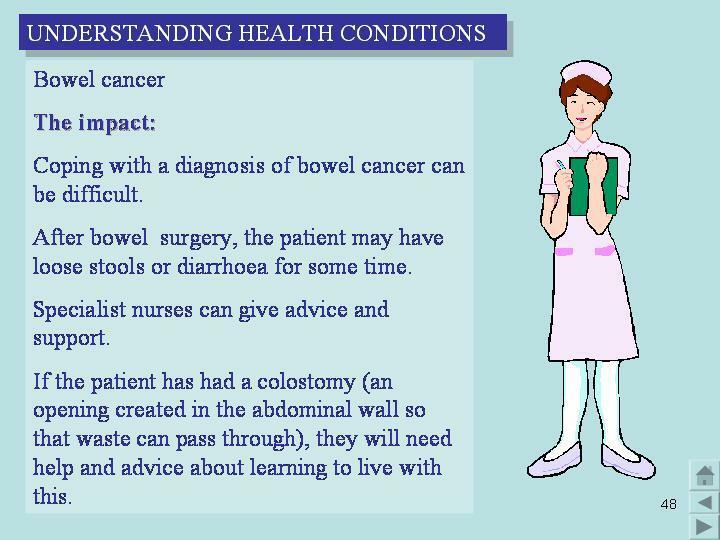 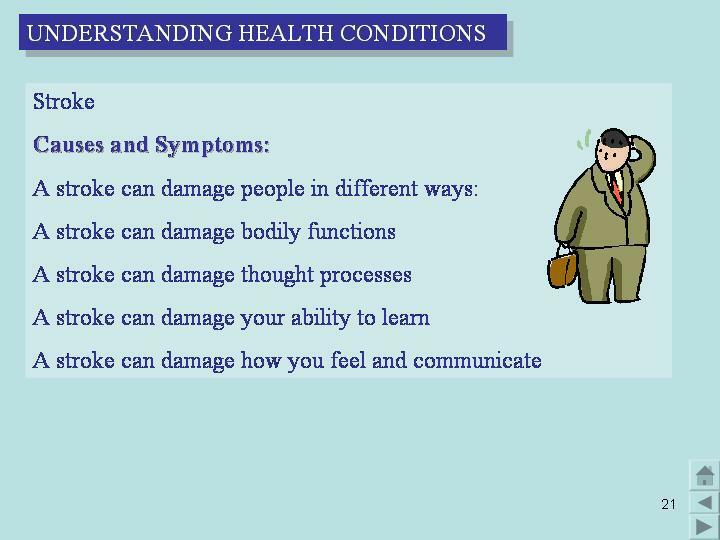 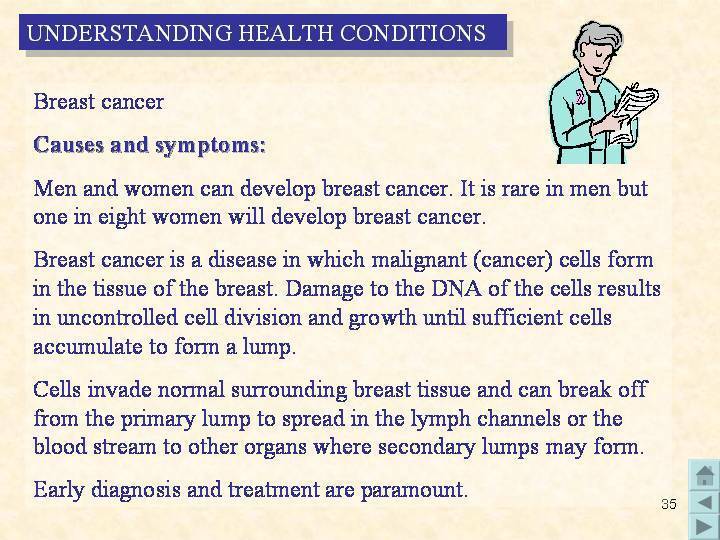 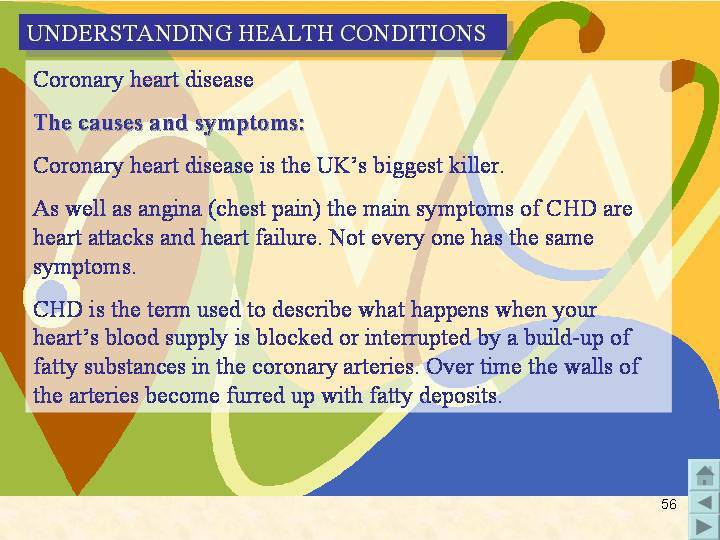 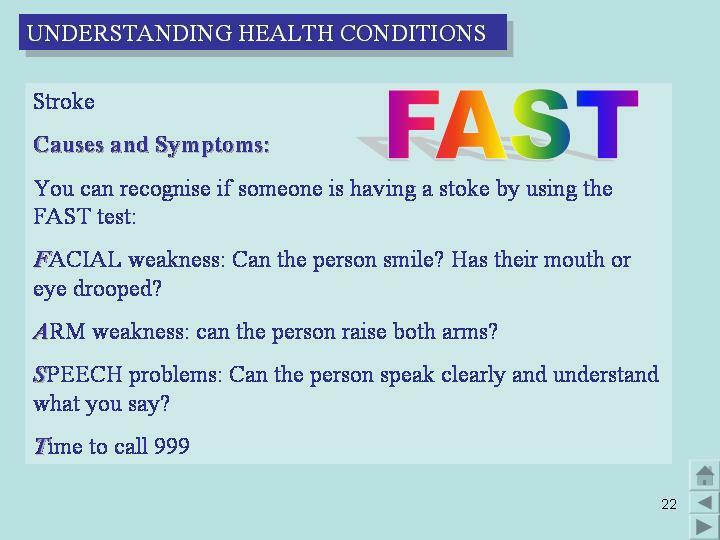 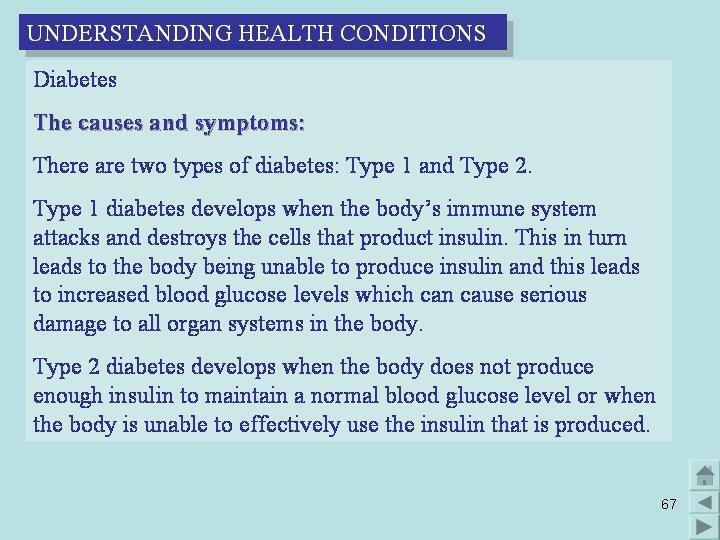 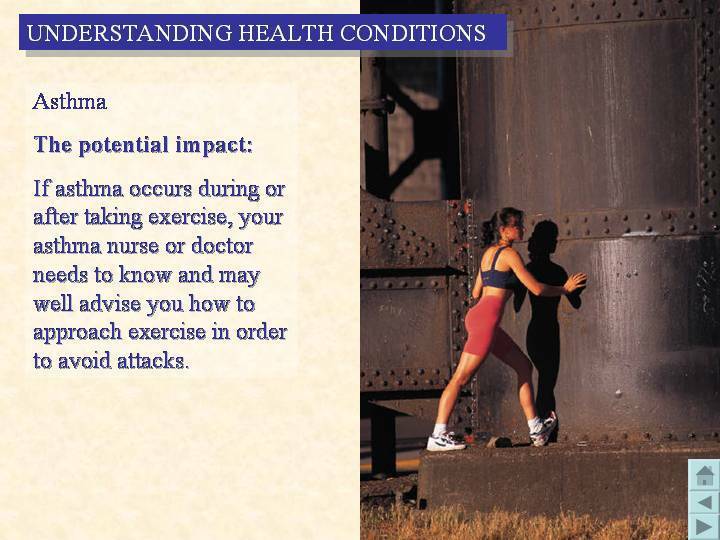 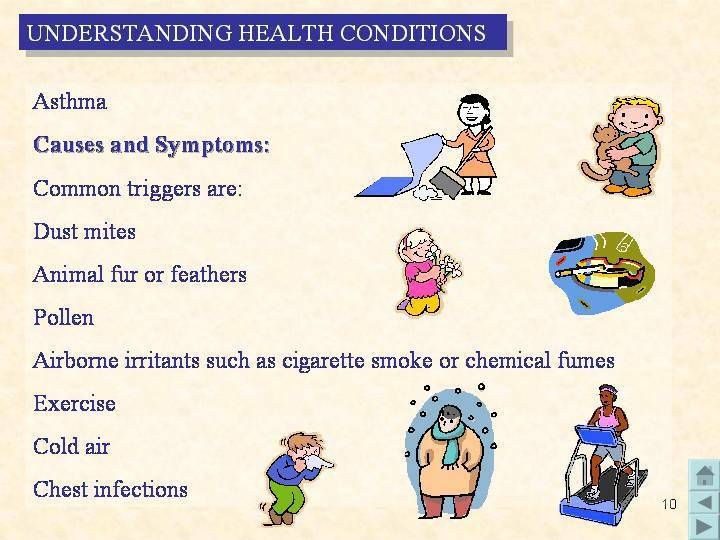 AS Level Understanding Health Conditions covers the following topics: causes and symptoms of major health conditions, mental health issues, sexually transmitted infections and the patient-centered approach. 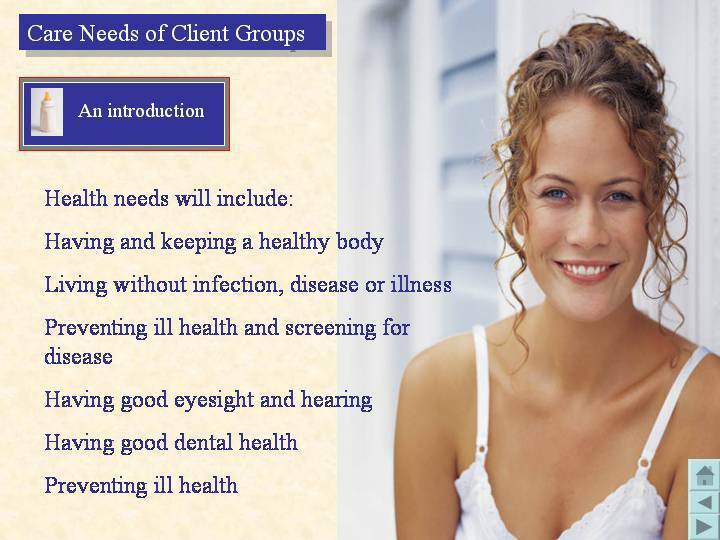 This presentation contains over 100 PowerPoint slides. 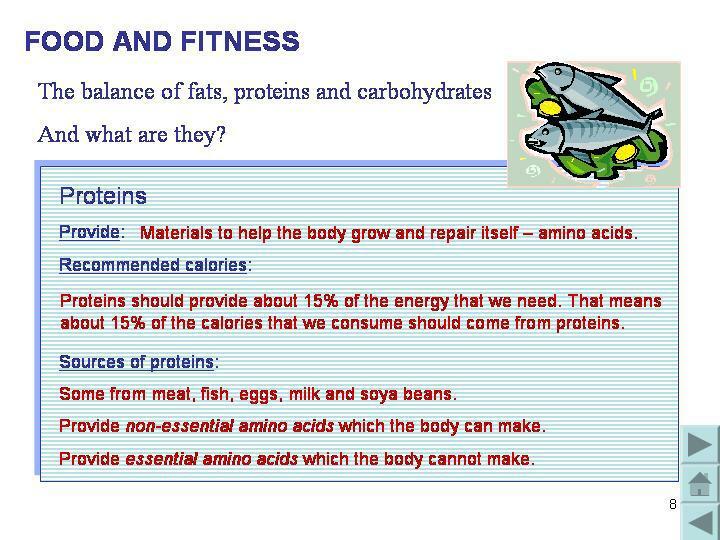 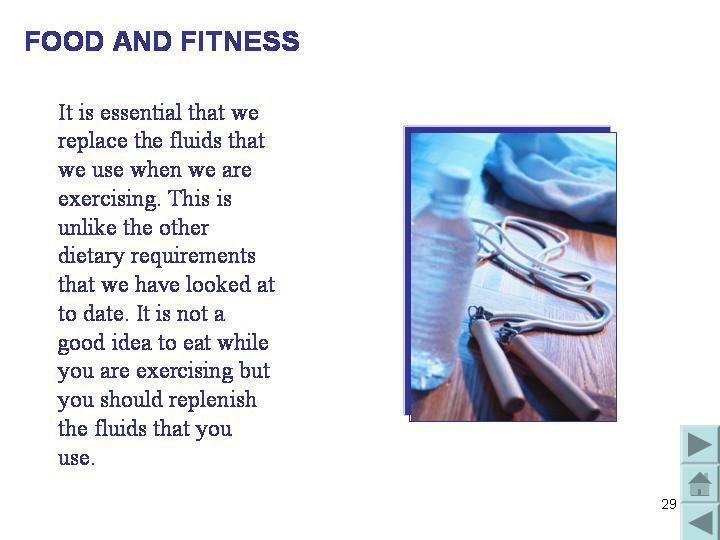 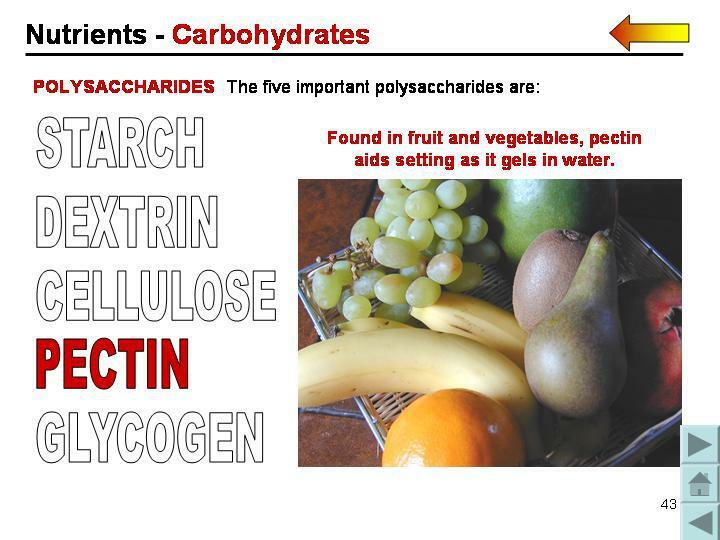 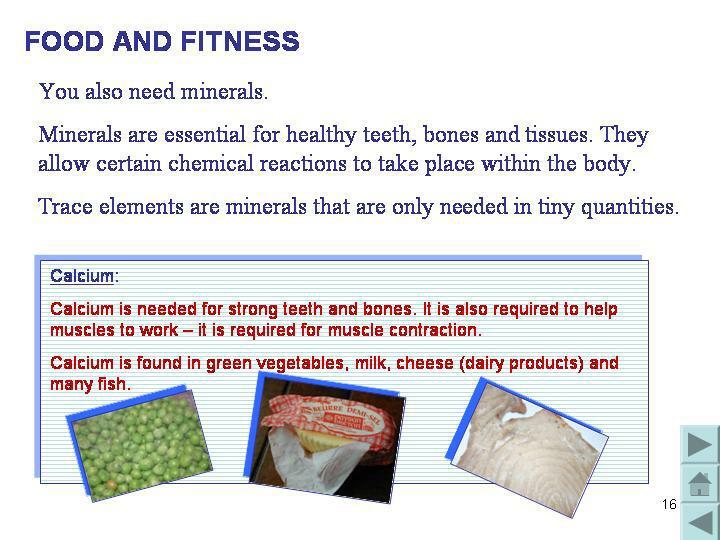 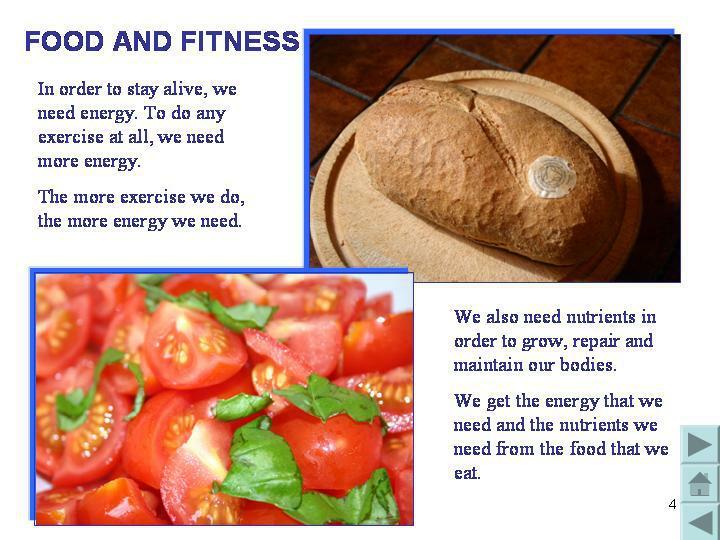 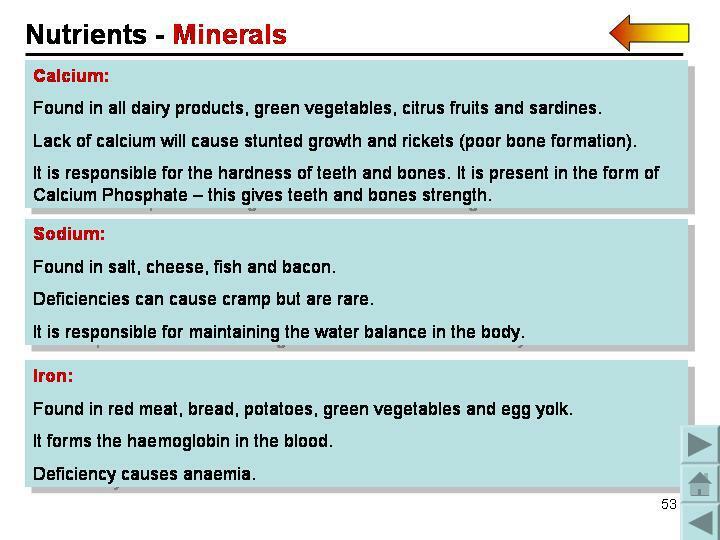 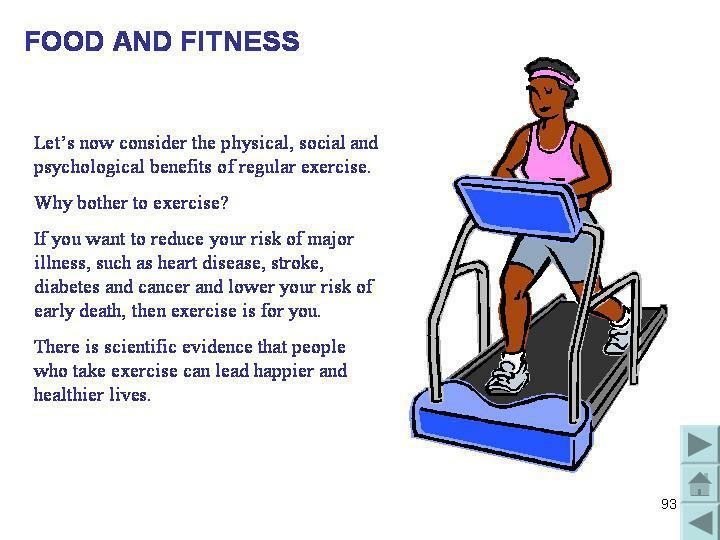 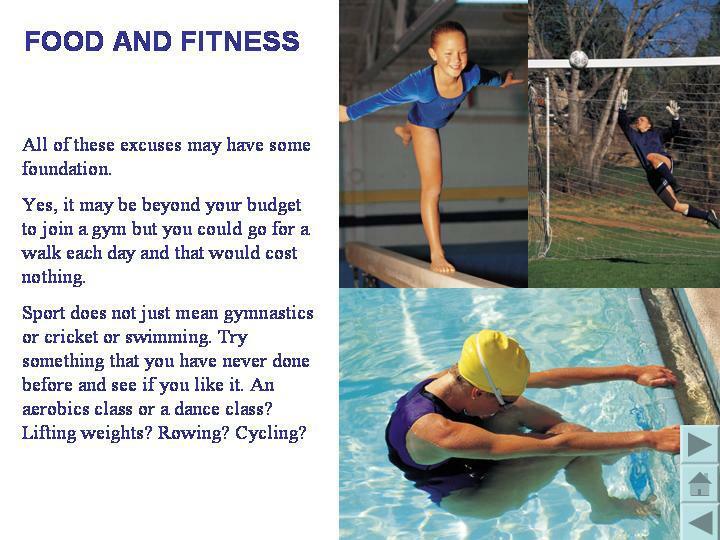 A2 Level Food and Fitness covers the following topics: the importance of a balanced diet, an explanation of nutrients, the energy equation and the importance of being active.